Ciao! 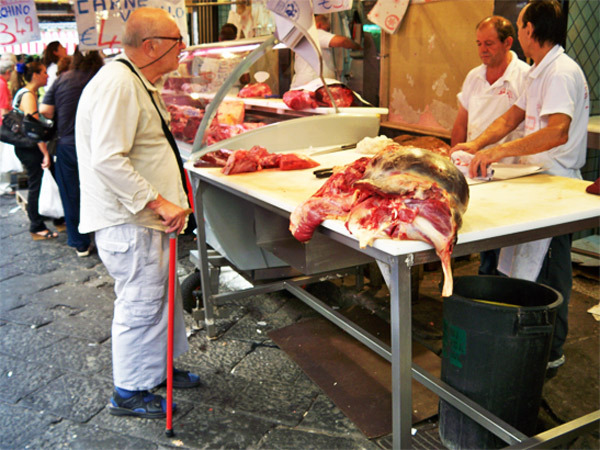 Today that comes all the way from Catania, Sicily! 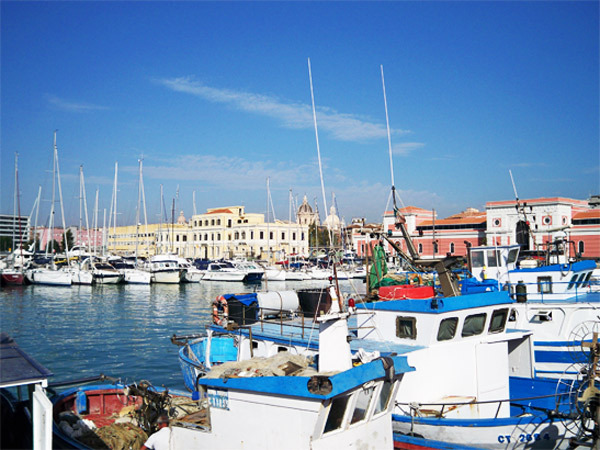 It is great to be back in Italy and this is my first visit to Sicily. 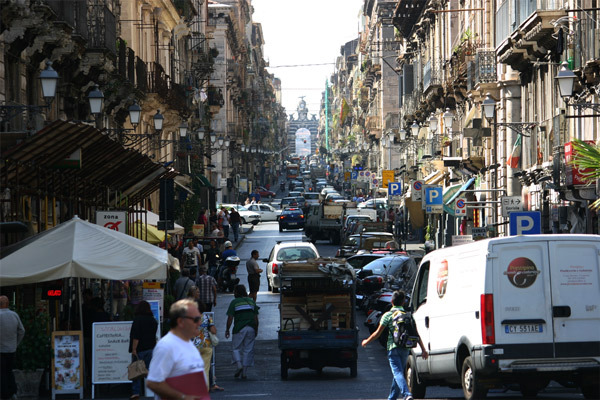 The city of Catania has a fabulous energy on the streets fueled by hard working Italians who are full of life. 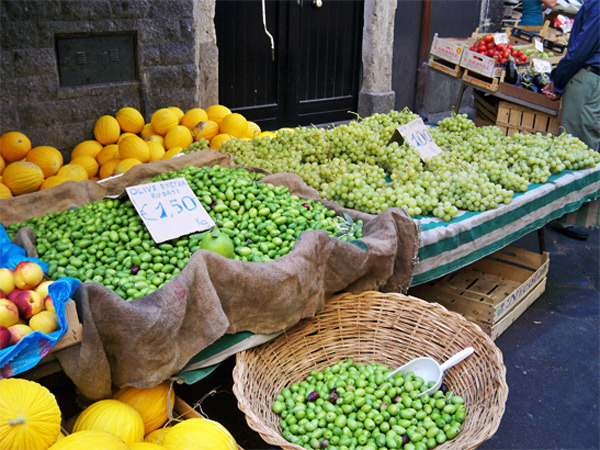 Even a short trip to Catania will allow you to have the traditional Sicilian experience! 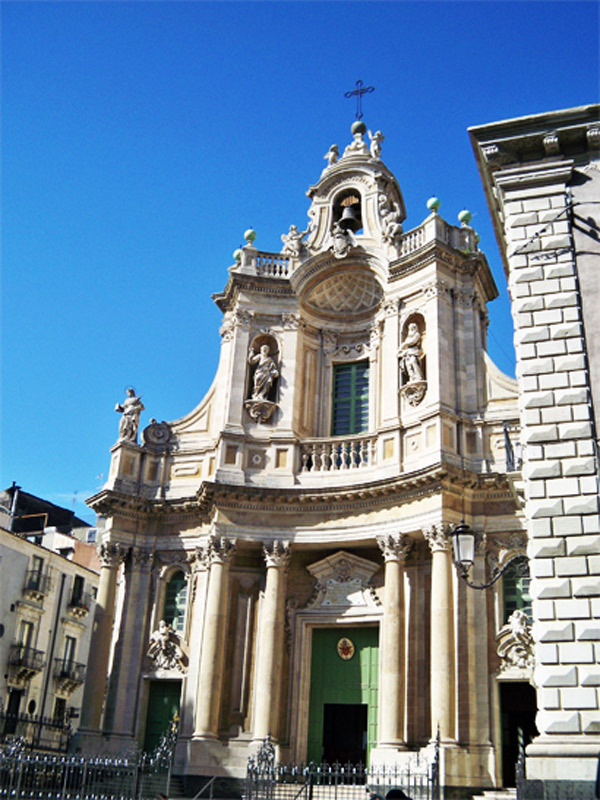 Santa Maria dell ‘Elemosina church is a classical Italian basilica. 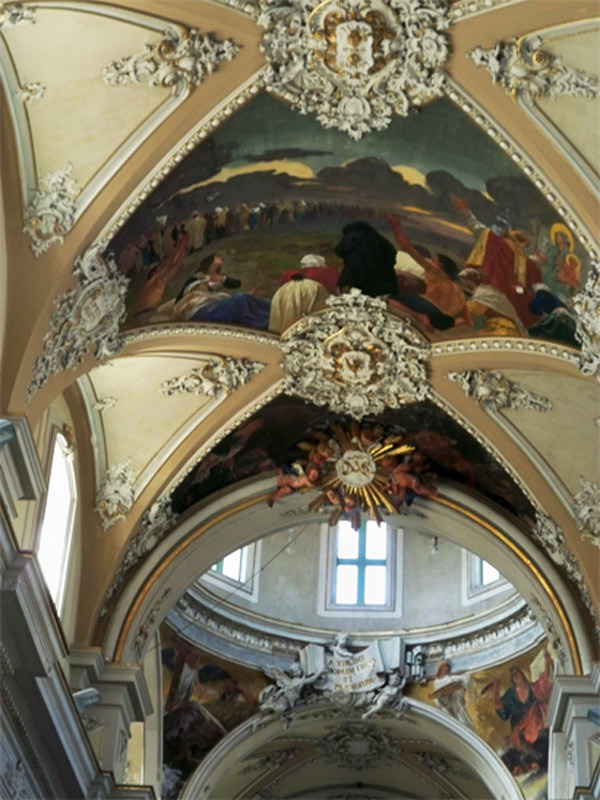 The ceiling of the church is covered in beautiful frescoes and many great sculptures are found both inside and outside the church. 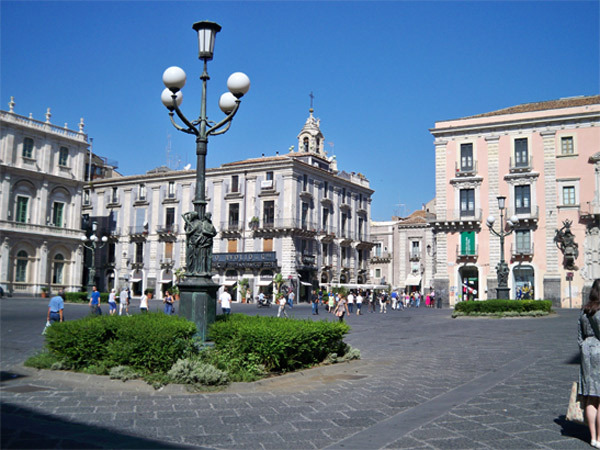 This place is a definite must see in Catania. 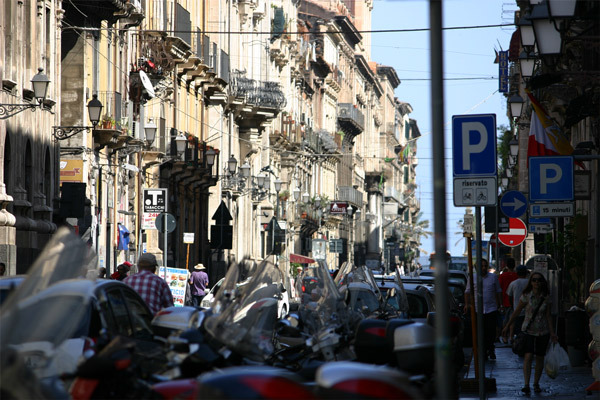 The streets of Catania are filled with Italians working hard and living their life to the fullest. 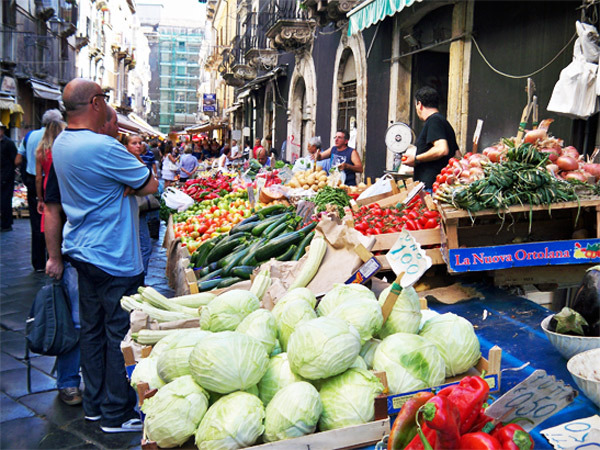 Keeping the streets busy and full of energy are the shopkeepers who spill their fresh produce, meats, cheeses and groceries into the streets. The shopkeepers sing their special deals of the day to grab the attention passerbys. 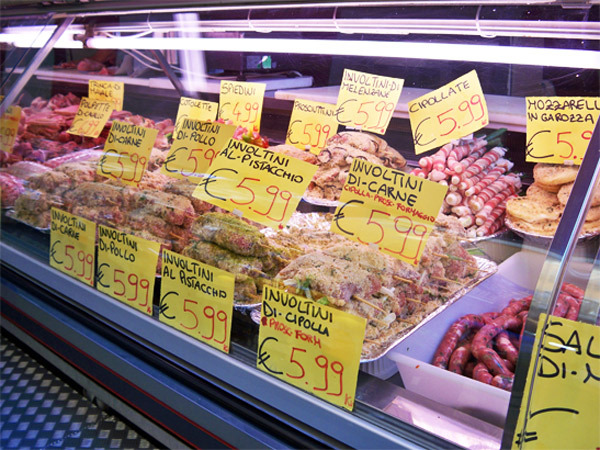 The Sicilians are lucky to have easy access to the freshest piece of cheese, meat, and produce. At the end of one of many grand boulevards, is the Piazza Duomo. 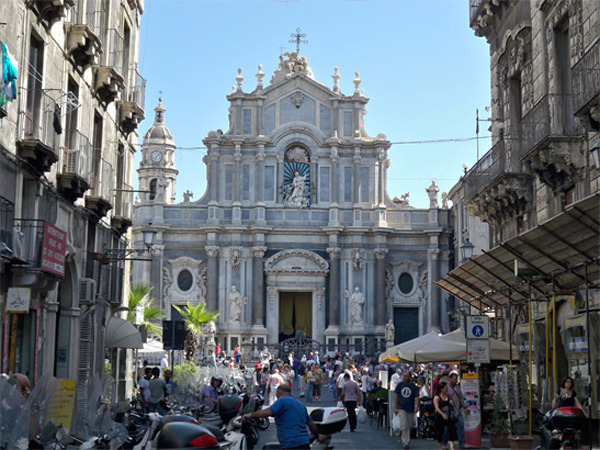 Here sits La Cattedrale di Catania. 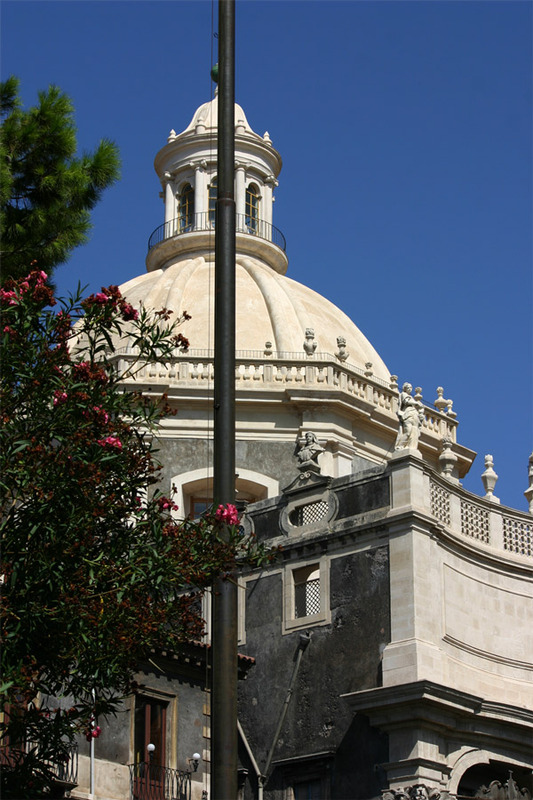 This magnificent structure peaks out over the other buildings in the Catania city skyline. Visible when approaching the building by ship, when standing besides the cathedral it so much more inspiring. Understandably the Sicilians take great pride in these treasures and they do their best to maintain them. Catania a little slice of Sicily. A place I will always remember and I hope to visit again! 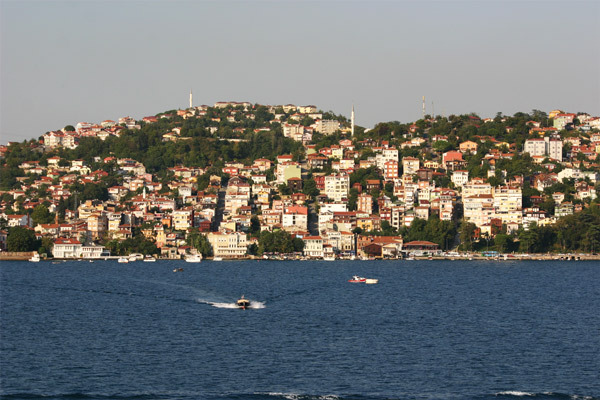 Istanbul, Turkey is the only city in the world to be located on two continents. The beautiful city is rich in history, culture, arts, and names. Originally known as the Greek city of Byzantium, it was re-founded by Roman Emperor Constantine and the name changed to Constantinople. 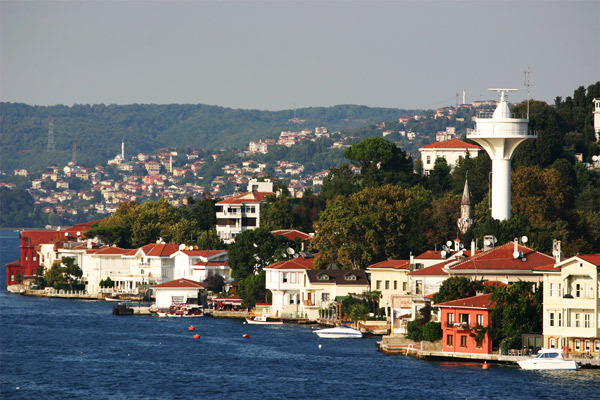 Upon the founding of the Republic of Turkey in 1923, the name Istanbul became formally used to refer to the city. 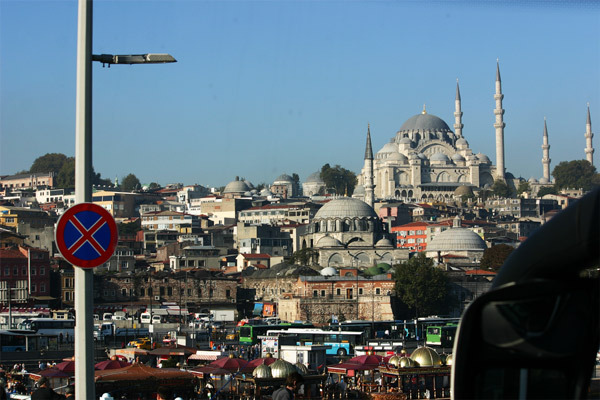 Translated, Istanbul means “in the city” and what a city it is. 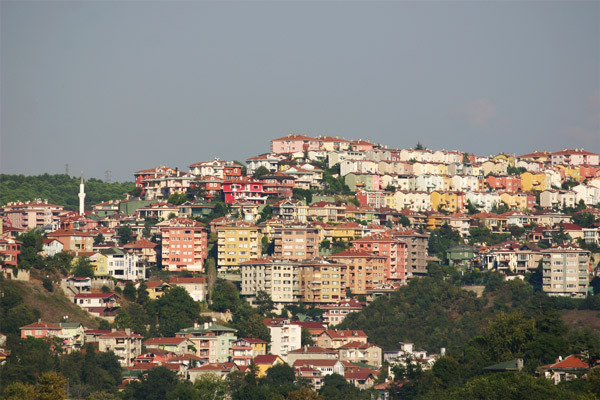 The city is home to over 13.5 million people making it the second most populous city in the world. 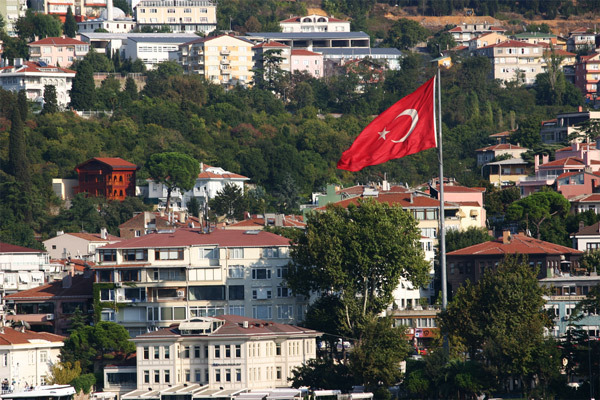 The Turkish people are very proud of their religion, culture, and country. 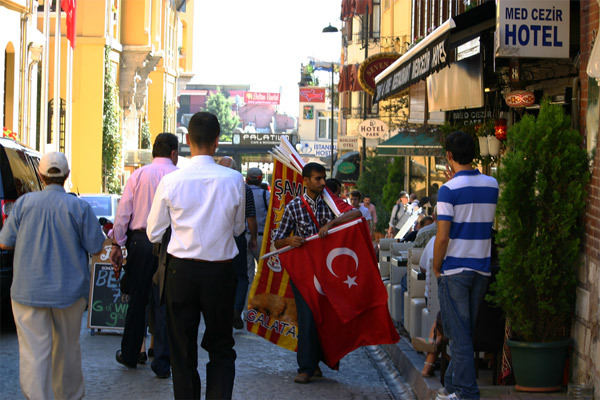 As the city sits on a important trade route, merchants have always been a vital part of the history in Istanbul. Today that spirit lives on in the people who always looking to sell all kinds of unique arts and handmade products. 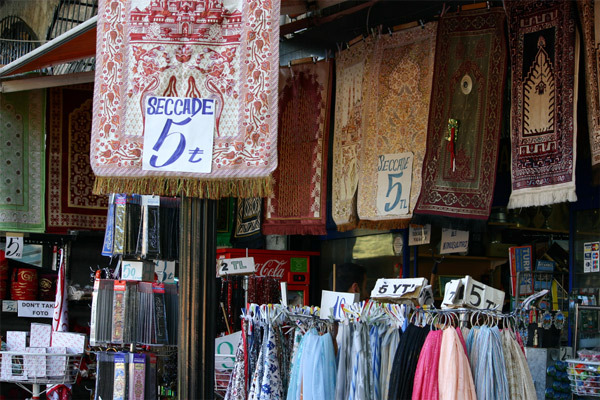 And of course the most sought after item is the handmade Turkish carpets! 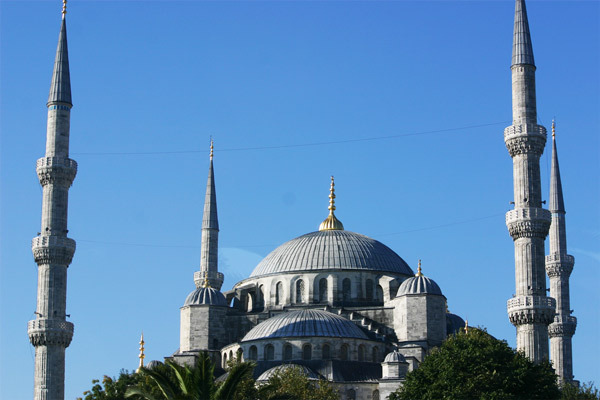 The Sultan Ahmed Mosque sits on a hill overlooking the city and from this position the minarets are seen from much of the city. A call to prayer is sounded five times a day and practicing Muslims come here to show their devotion to Allah. The mosque is often referred to by another name, the Blue Mosque, because of its magnificent blue tiles which line the interior of the mosque. Inside the Blue Mosque I had a beautiful and peaceful experience. 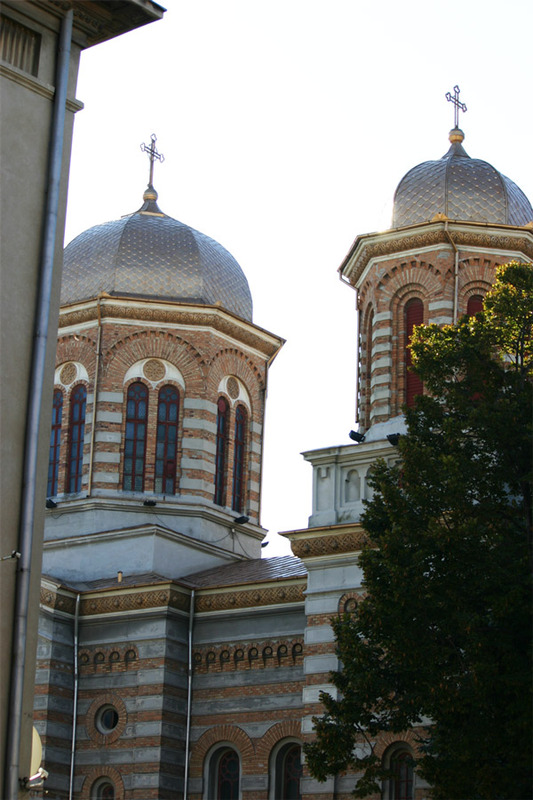 The Byzantine style of architecture is much different than the places of worship in Western Europe. 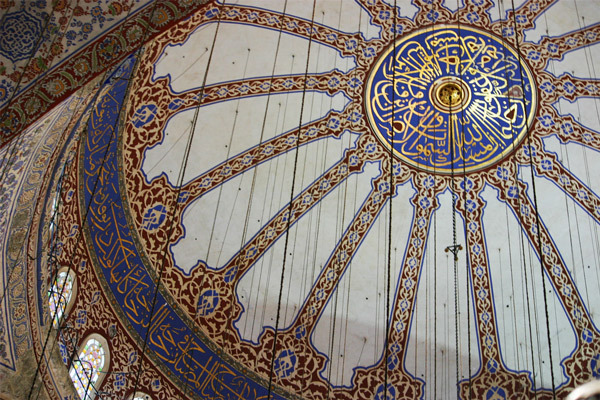 The large domes and minarets provide a completely different experience. As in any mosque, upon entering the Blue Mosque you are required remove your shoes. Ablutions is the process of washing ones feet, hands and head before prayer. 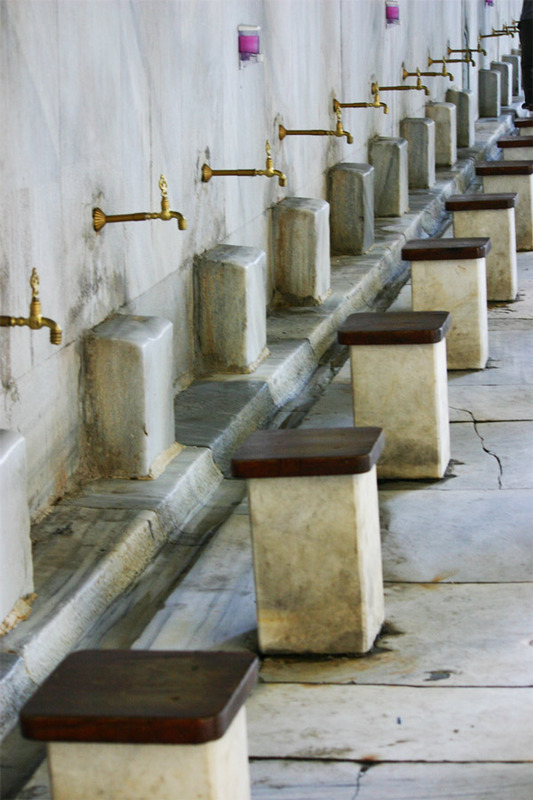 In the courtyard a row of fountains are available for the worshipers to use before entering the Blue Mosque. While the exterior is quite impressive, it is the interior of this mosque that cannot be missed. Everywhere you turn is the fabulous tilework in blues and golds. 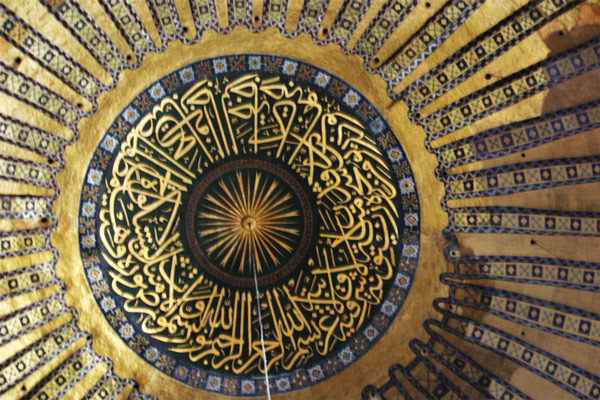 The beautiful pattern work and the inscriptions are truly inspiring. 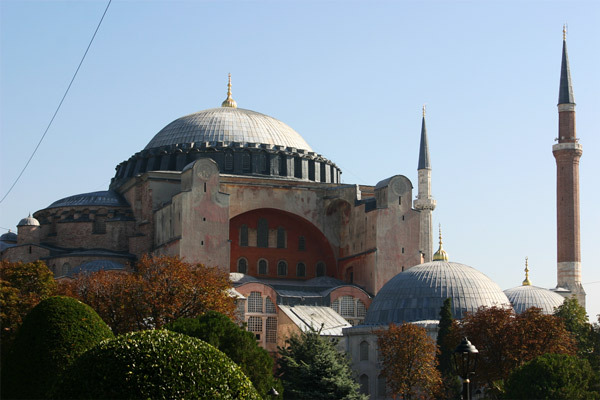 Hagia Sophia, or Saint Sophia, has a history nearly as long and tumultuous as the city. 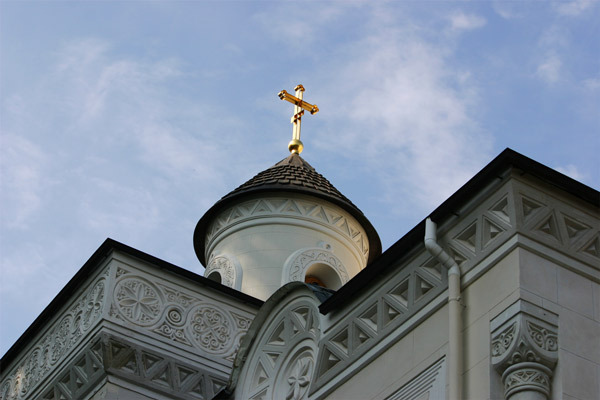 The current structure was built in 523 AD as an Eastern Orthodox church. 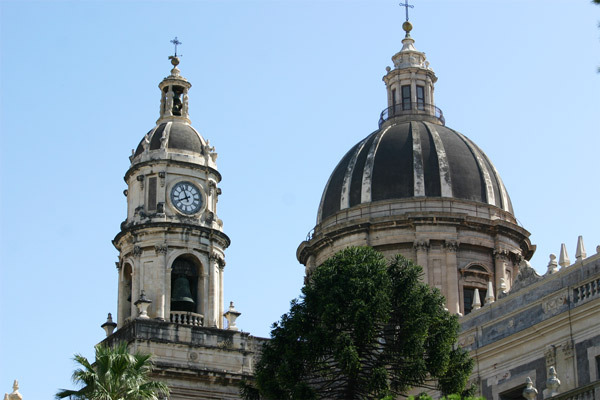 Several earthquakes and fires have caused significant damage over the years including dome collapses. 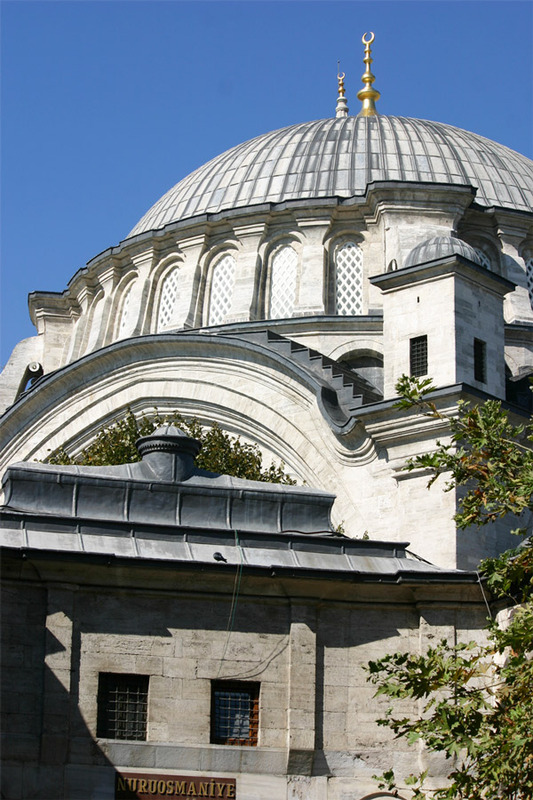 When the Ottomans captured the city, they converted the church into a mosque. 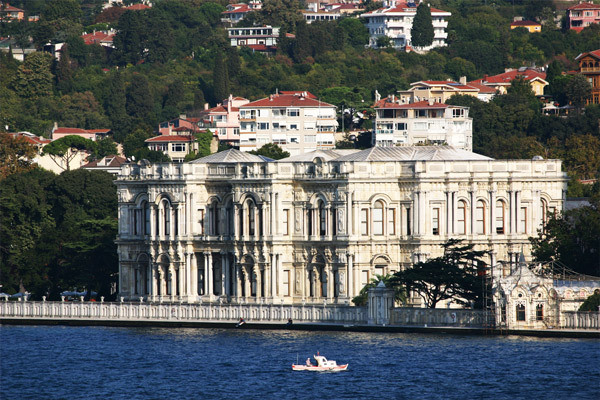 It remained a mosque until 1935 when the Turkish government converted the building into a museum. 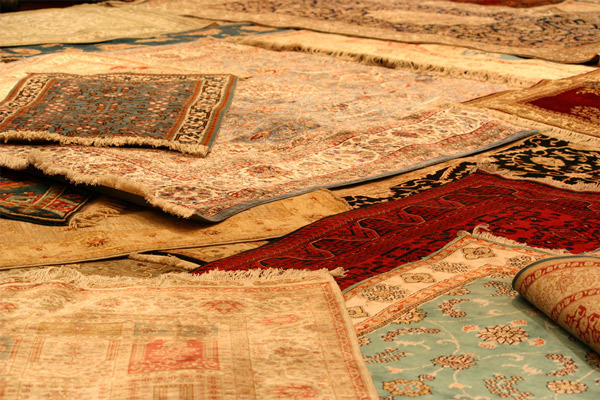 If you are in Istanbul it is necessary to experience Turkish carpet making. 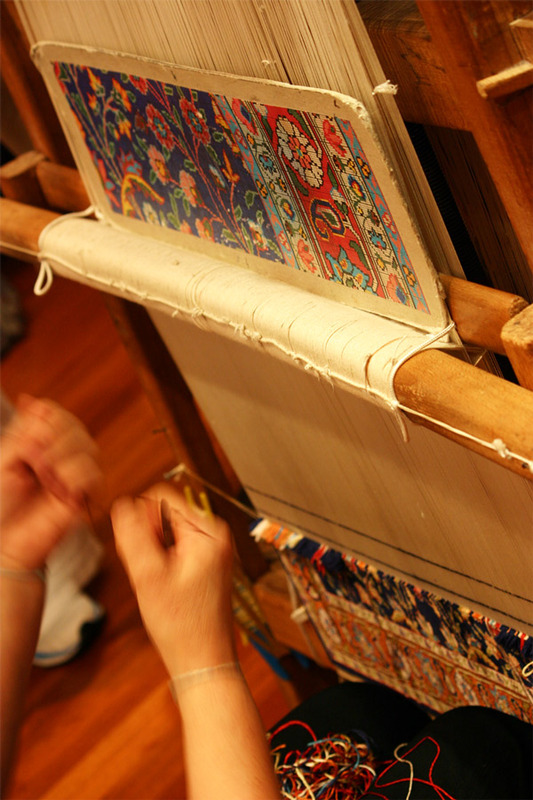 I was mesmerized by watching how quickly the Turkish women weave the fabric. 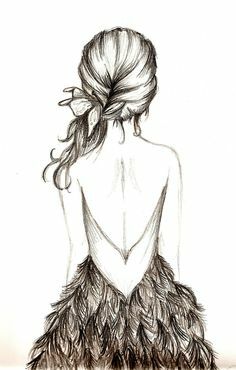 With a simple design to use as a guide she quickly and skillfully matched it perfectly. Everywhere you look there are these completed works of art. The Grand Bazaar is another highlight of any trip to Istanbul. 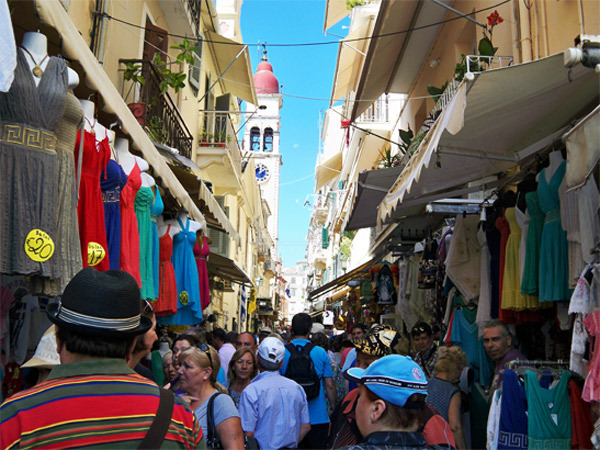 Originally constructed to house the textile traders, the Bazaar quickly grew. 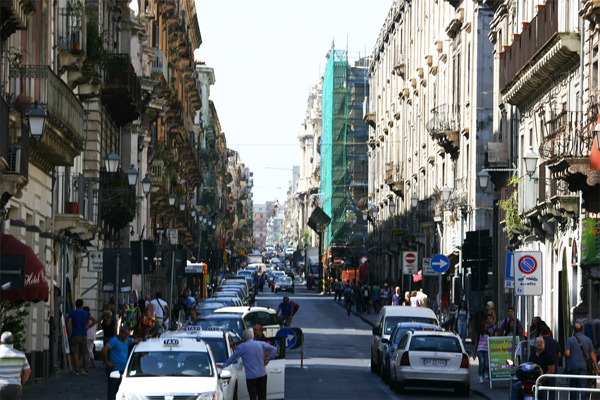 Now over 60 streets are covered which consists of over 3,000 shops. Everyday over a quarter-million people visit the Bazaar to purchase everything from textiles, to spices, to jewelery and to clothes. 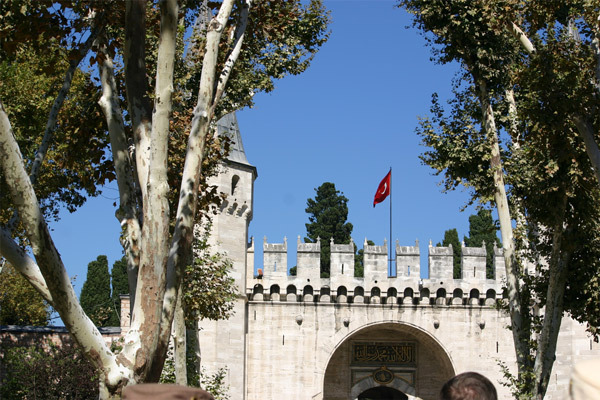 The Topkapı Palace was the home to the Sultan’s for over 400 years. The place is definitely fit for a Sultan, with multiple courtyards, baths, halls and even a mint. 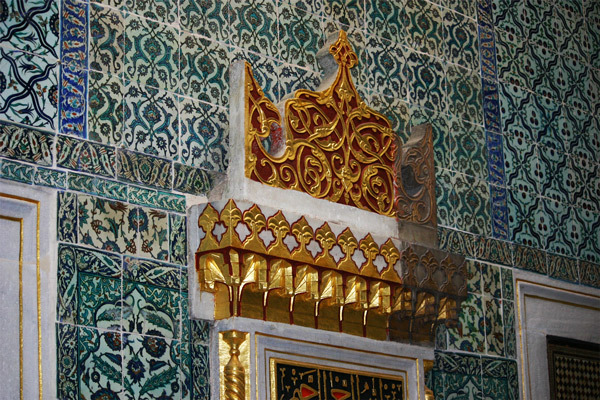 The power and money that the Sultans possessed can been seen at every corner of the palace. 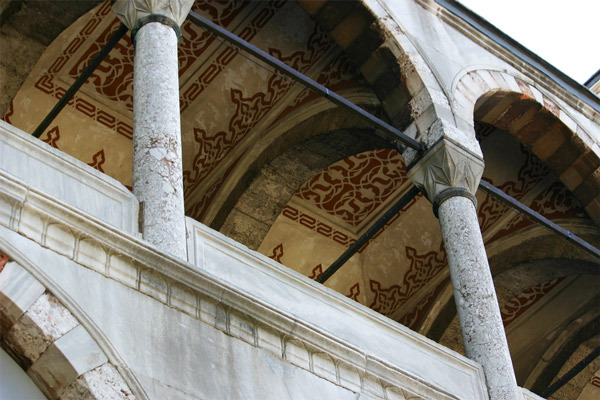 Again detailed tilework covers the interior walls of the palace. Once behind the Iron Curtain, the city of Constanza, Romania is becoming a fabulous tourist destination on the Black Sea coast. The people of the city are so wonderful and welcoming! I would encourage anyone seeking to explore this corner of the world to check out the city of Constanza. Let me give you a hint to the hidden jewels of this city. 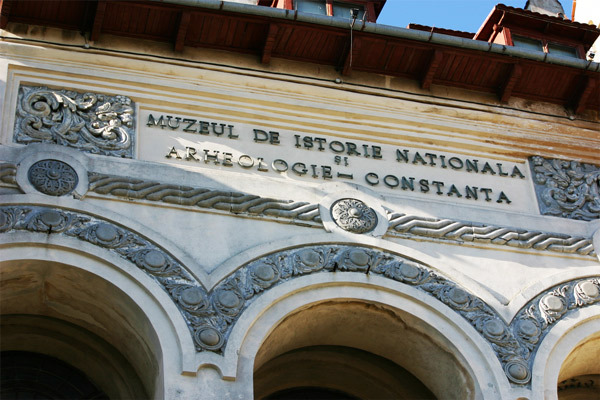 Visiting the Archeology museum provides a wonderful understanding of the long history of Romania. 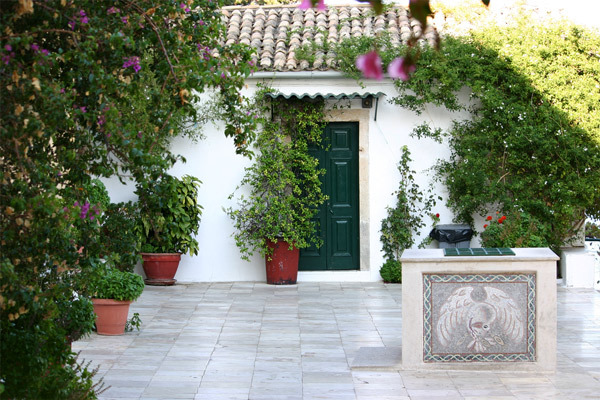 Ancient artifacts from Greek and Roman times help to describe the importance of this area. Original clay and stone objects and art dating back from centuries B.C. are found here. Among the other exhibits are real skeletons found in the area that used to reside in coffins. 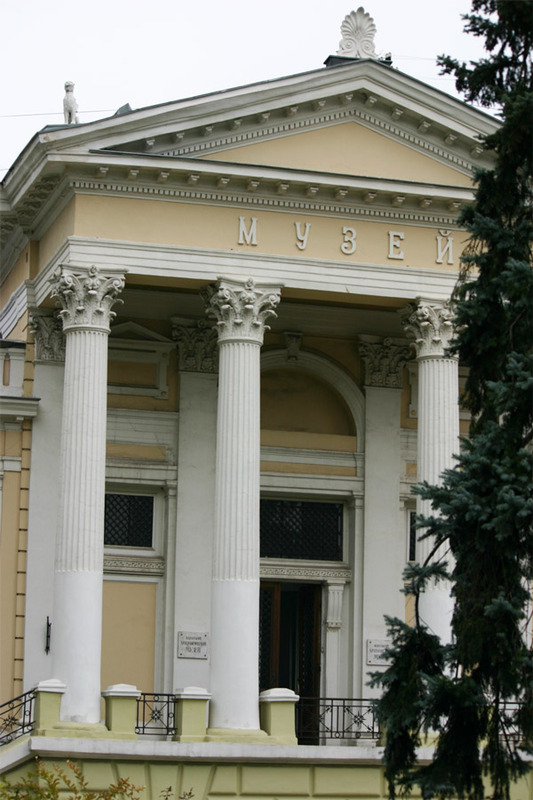 Even the exterior of the museum is a work of art. Another highlight of my trip was a stroll through Old Town passing the Turkish Mosque and a visit of the Orthodox Cathedral, St. Peter and St. Paul. Known in Romanian as Catedrala Sfinţii Apostoli Petru şi Pavel din Constanţa, it provided me with a wonderful introduction to the world of Orthodoxism. As today was Sunday, I was able attend a service and experience what a typical Sunday church service was like for the Romanians. The service and the cathedral were such a beautiful and peaceful place, it was an experience I will cherish forever. One of the jewels of Constanza is the impressive casino. 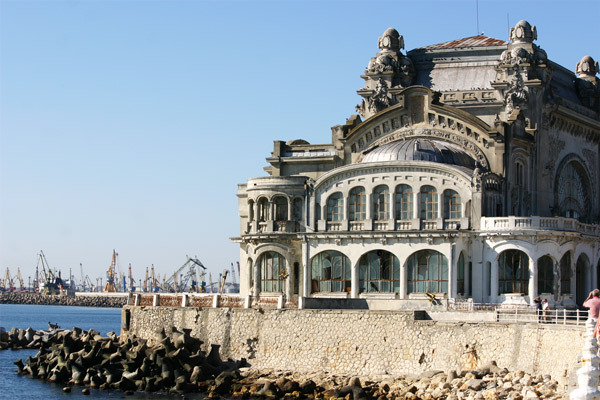 Designed in the Art Nouveau style and built on the shores of the Black Sea in the period between the two World Wars, it is a location that cannot be missed. I found it a beautiful location to just relax and soak in some of that Romanian sun! 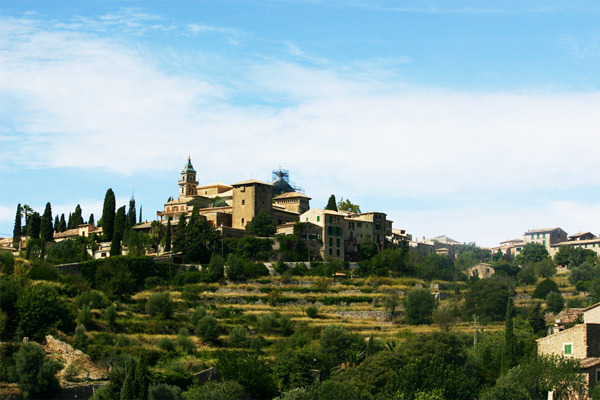 Just outside the city is a town of Murfatlar which is home to the Murfatlar Vineyard. It is the largest vineyard in Romania at nearly 7,500 acres in size. 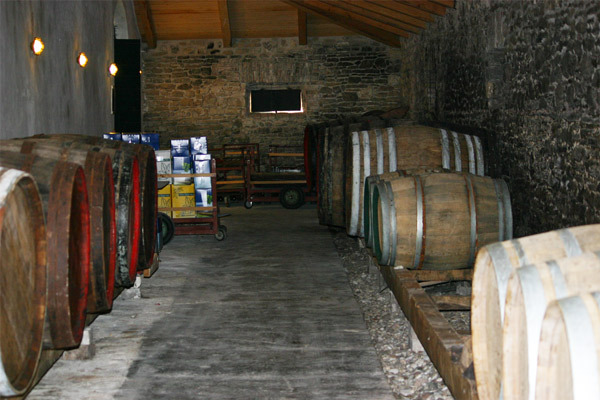 A visit to the wine cellar shows a fabulous sample some of the local white and red wines. 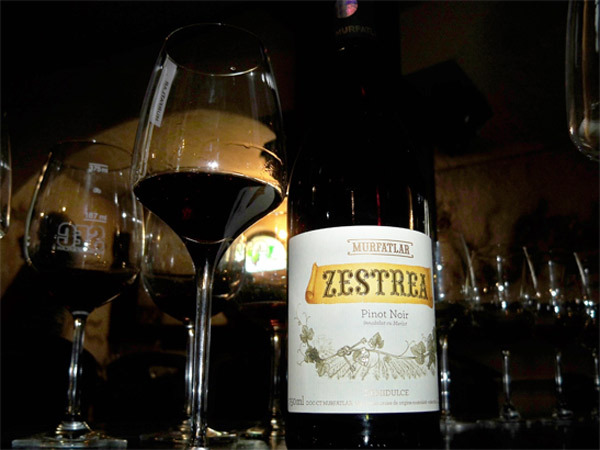 A tasting lead me to my favorite which happens to be their best selling dry red wine, the Zestrea Pinot Noir. What a delicious red Romanian red wine! Cheers to Romania for providing such a wonderful experience. 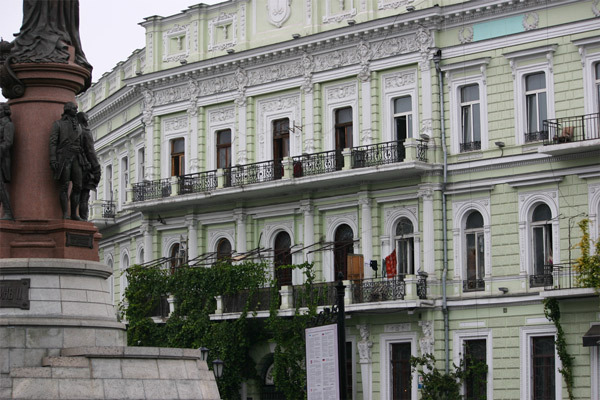 Odessa, Ukraine is another jewel along the Black Sea coast. 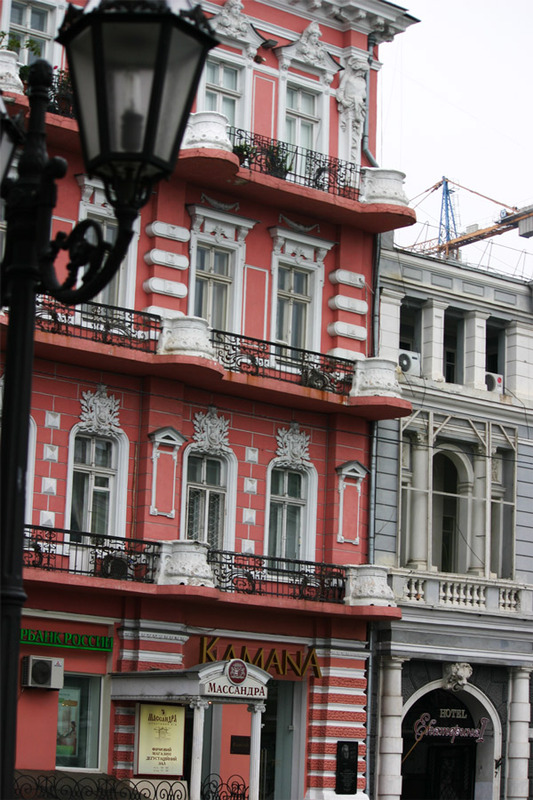 Odessa is more than just a Black Sea resort town, it is major metropolis with over a million people. 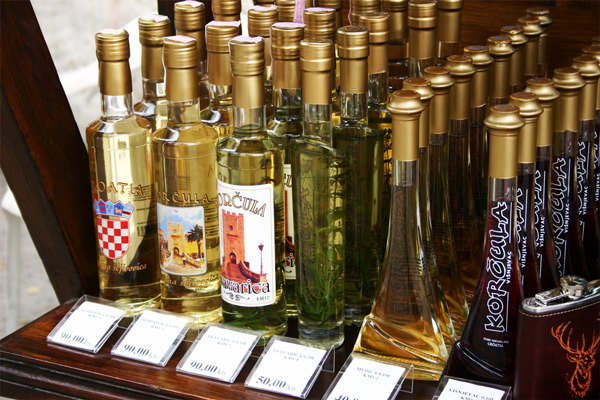 During my stay, I wanted to absorb as much of this Ukrainian culture as I could. 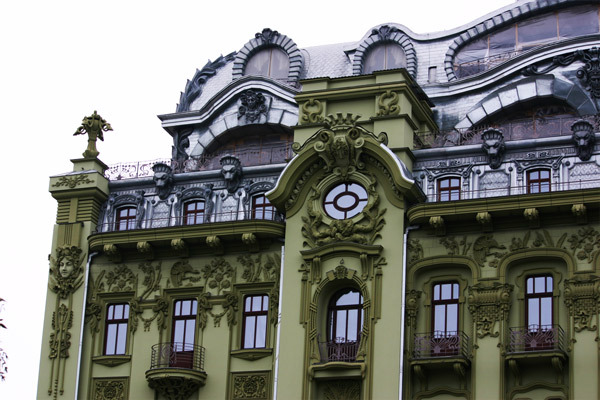 There are many buildings of different architectural styles in Odessa making it great to stroll along the streets looking upward. 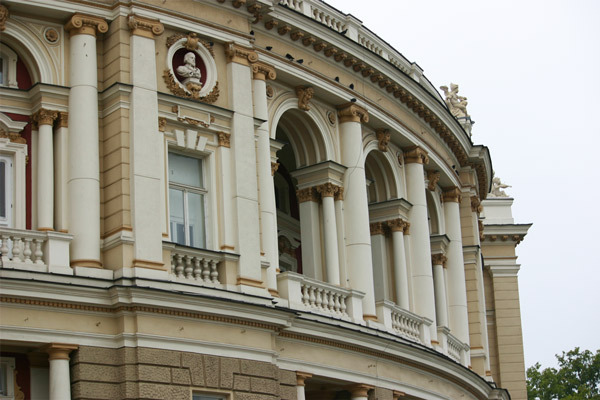 Odessa is home to one of the most beautiful theaters in the world with the formal name of the Odessa National Academic Theatre of Opera and Ballet. The region around the highly decorated and beautifully colored theater it open allowing you to view the beautiful building from all angles. It is said that the magnificence of its exterior is surpassed only by its interior. 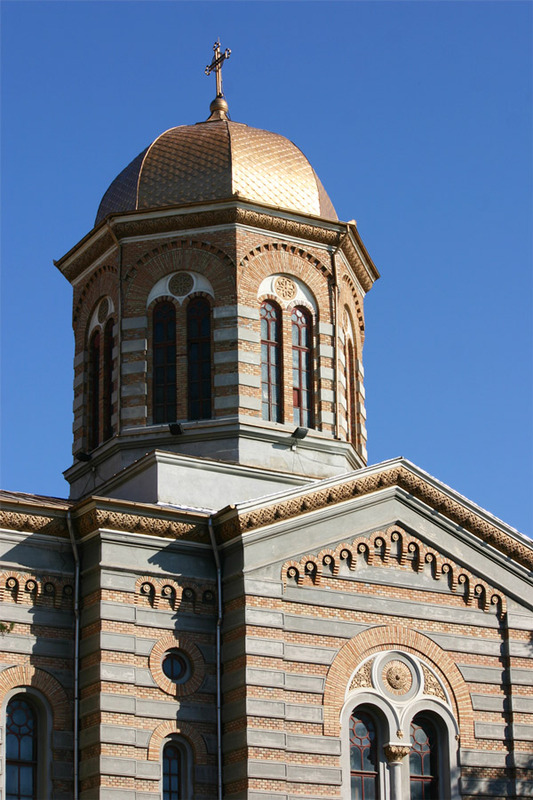 Onion domes, which are common throughout Eastern Europe and Russia, are found on the churches of Odessa. 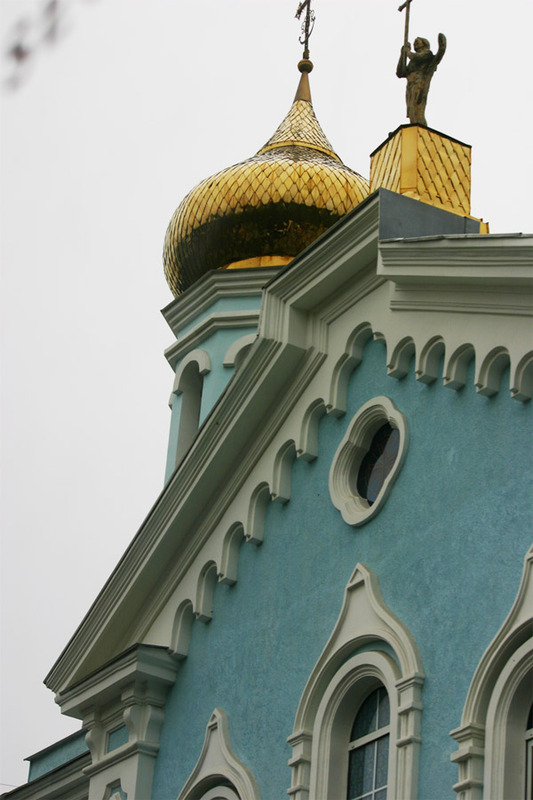 This glittering gold dome which contrasted against the blue so well caught my eye. 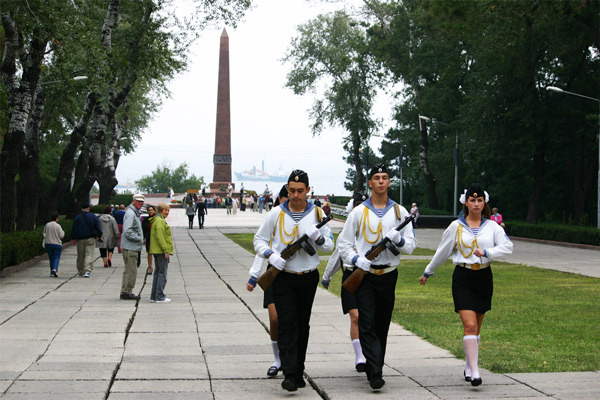 Odessians are proud of their Shevchenko Park, which is located not far from downtown and on the shores of the Black Sea. 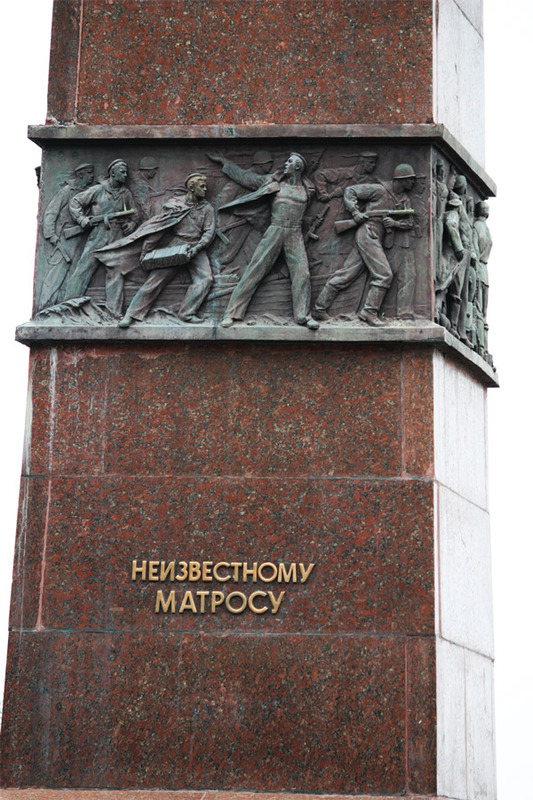 The highlight of the park is the tree-lined Alley of Glory, which ends at the 70-foot high Monument to the Unknown Sailor. 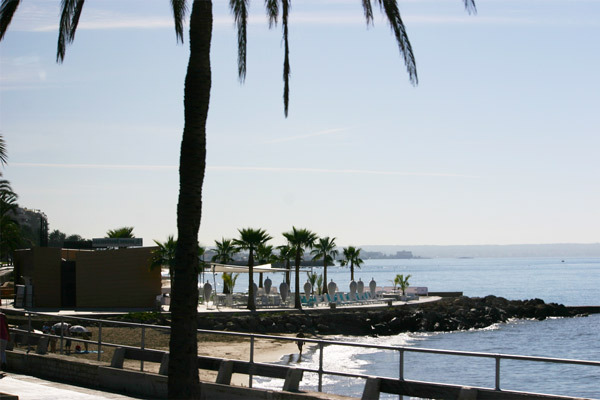 The downtown area has the normal hustle and bustle of any major metropolis. 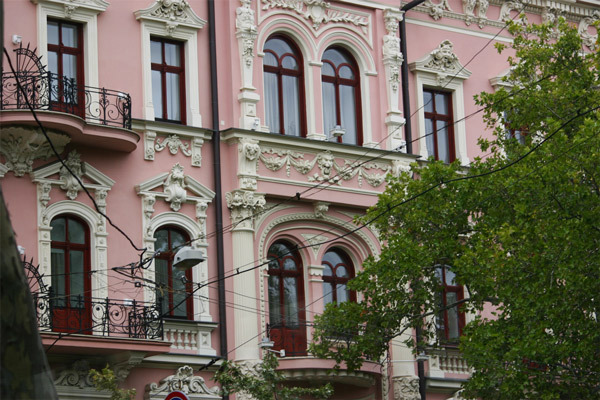 It is great place to take a stroll and see more beautiful architecture, parks, shops, and cafes. 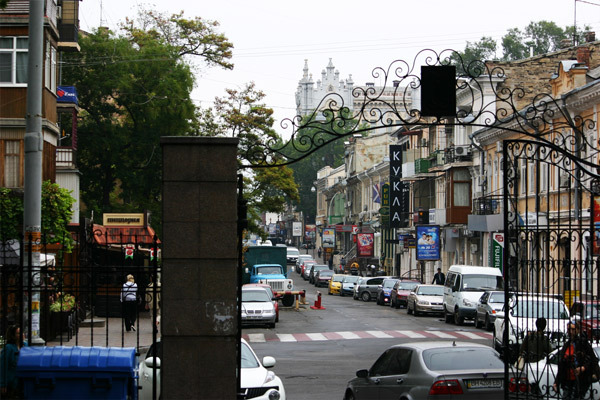 One of the major shopping streets is the pedestrian only Deribasovskaya Street. 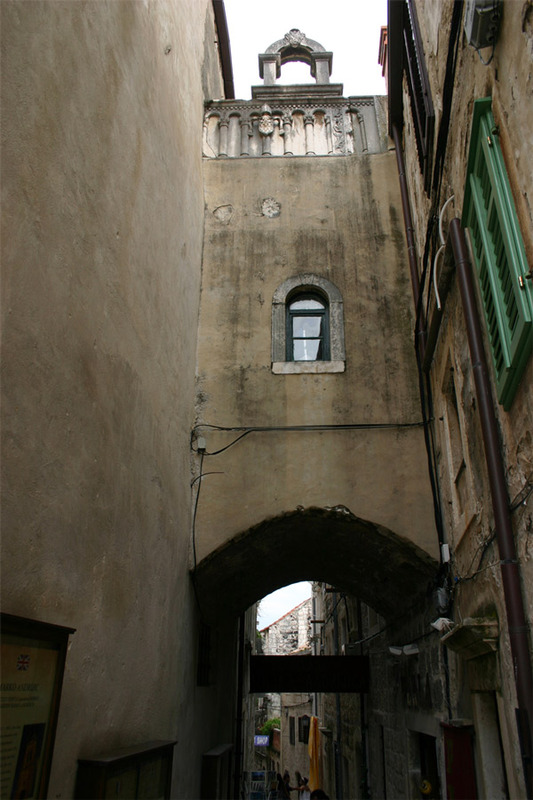 Along the street is the covered marketplace called the Passage. 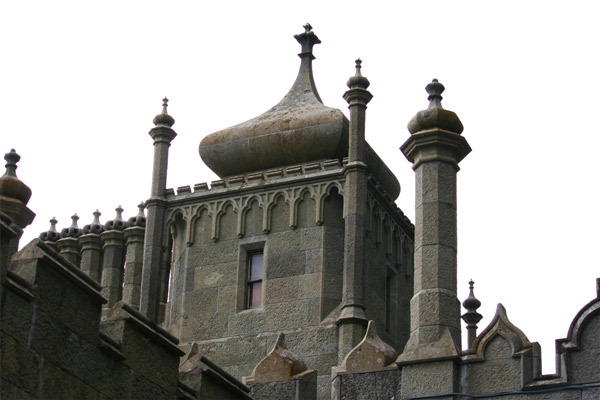 The glass roof protects the both the pedestrians and the ornate statues decorating the walls. Hello from Yalta in the Ukraine! You know those times when you visit a place you never thought you would? This is one of those times. 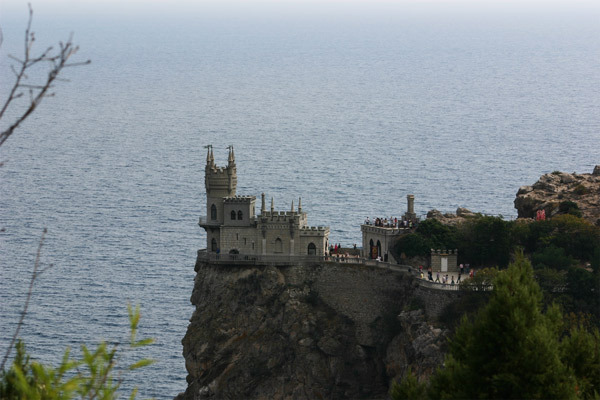 Yalta lies on the southern side of the Crimea peninsula which extends south of mainland Ukraine into the Black Sea. I never expected to find myself in the Ukraine, but I feel blessed to have been able to spend some time in this Black Sea resort town. 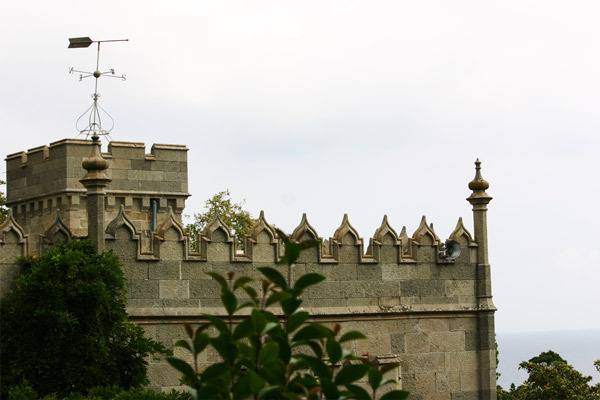 Yalta has a long history being a resort town with some eastern European royalty even building summer palaces here. Today there was no royalty around town. It was filled with locals working hard and many tourists relaxing and enjoying life. I was able to visit two beautiful palaces. 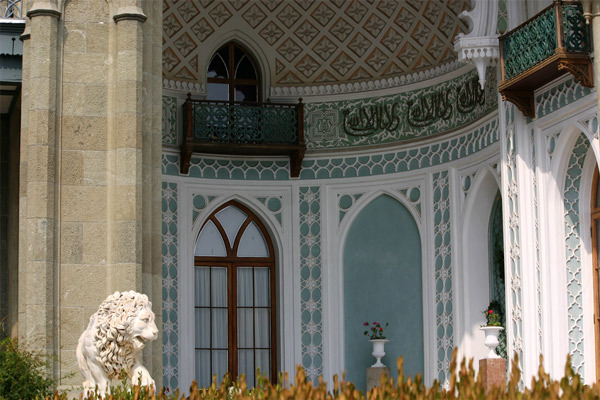 The first one, Vorontsov Palace or Alupka Palace, is located just west of Yalta in the town of Alupka. This historic palace, situated at the foot of the Crimean Mountains, was built by Prince Mikhail Vorontsov for use as his personal summer residence. 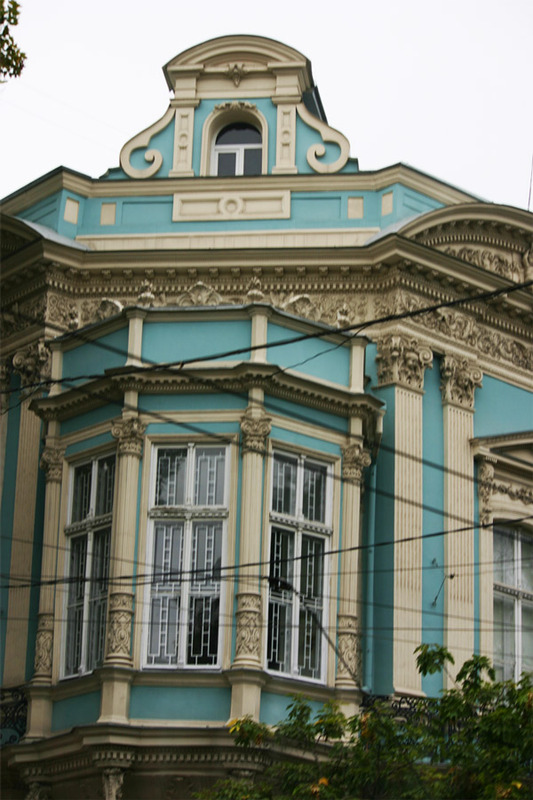 It took twenty years to complete the palace (1828-1848). 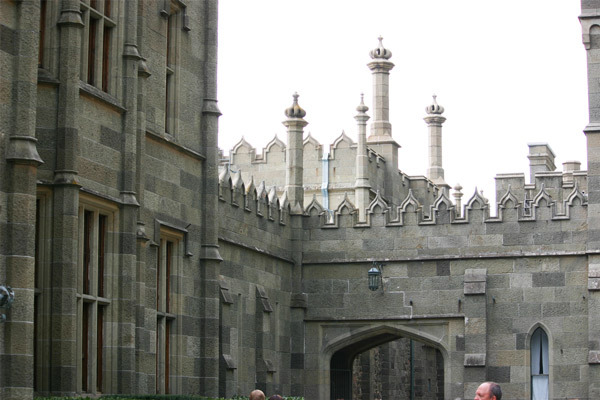 The architect of the palace, Edward Blore, was actually English. Among his great achievements was completing the design of the Buckingham Palace in London. 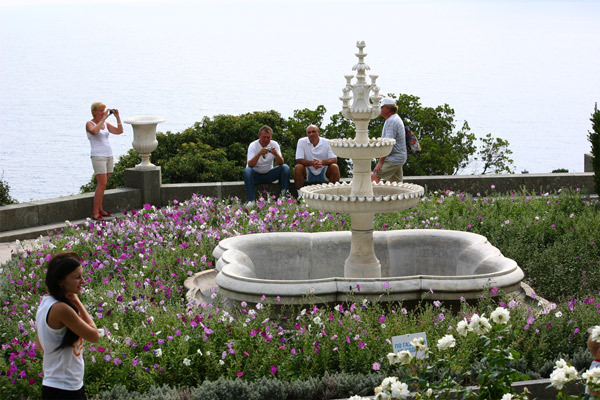 Many fountains and sculptures decorate the palace grounds which has a fabulous sea view. I found a lion sculpture that would seemingly fit more in Florence or Venice than here on the coast of the Black Sea. 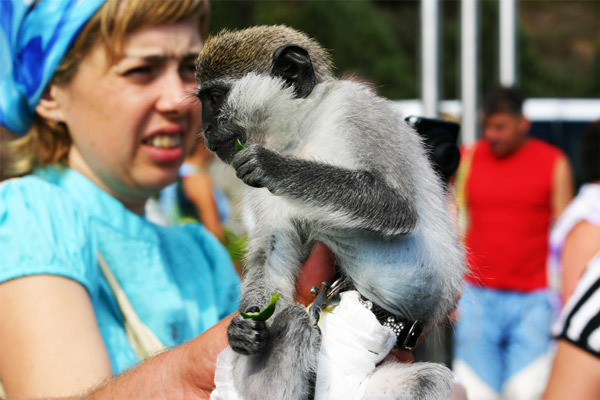 As I understand it, many of the locals have monkeys for pets. 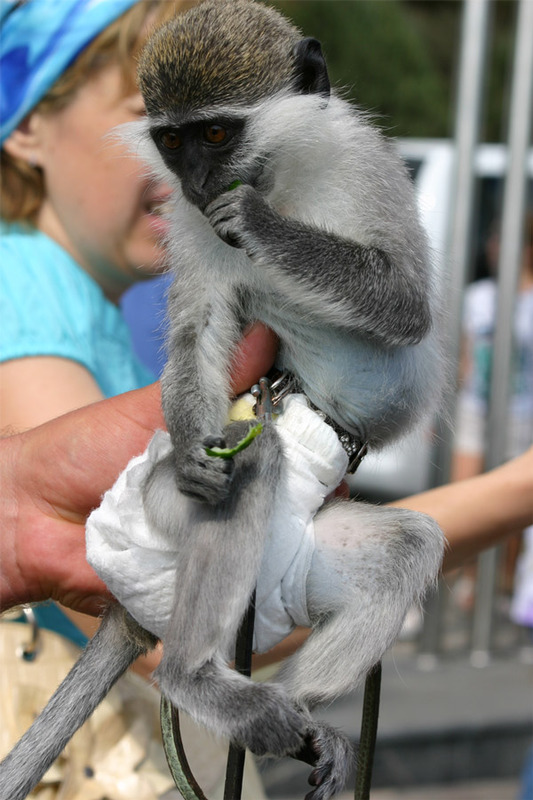 This one is just a baby. Notice the blue patch on his belly. He is a photogenic little creature, willing to take pictures with everyone. Some regions just have an iconic building–Big Ben for London, Eiffel Tower for Paris, Neuschwanstein Castle for Bavaria, Germany. 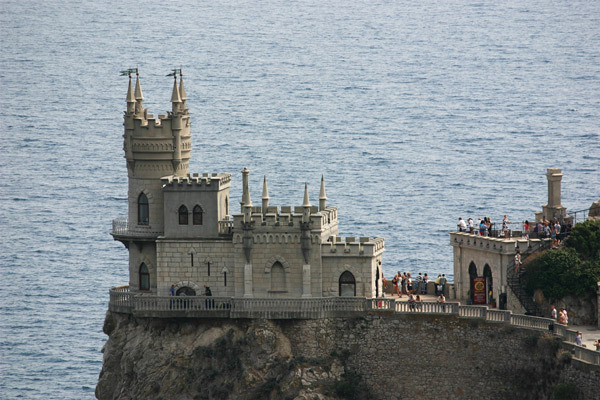 Swallow’s Nest castle, otherwise known as Knife castle, is that icon not just for Crimea but often all of the Ukraine. 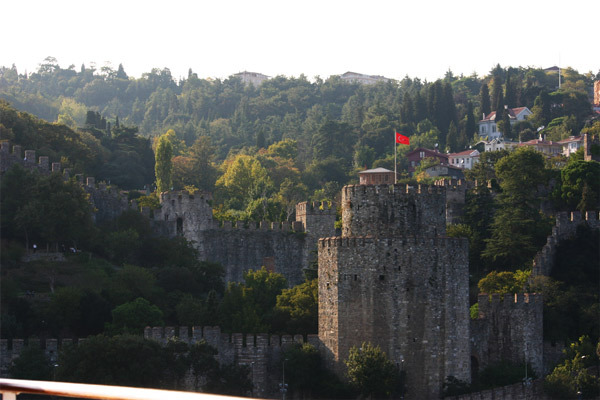 The castle sits precariously over the Black Sea 130 feet below. 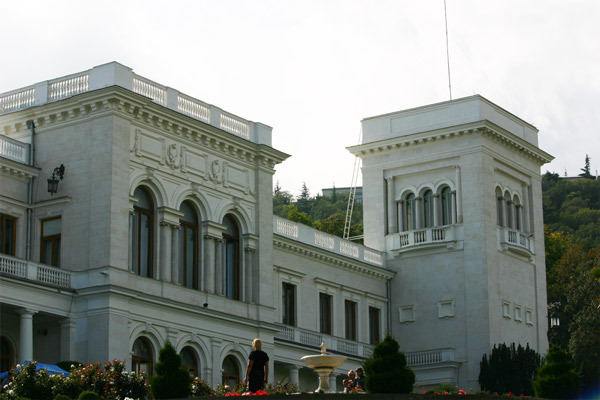 Livadia Palace is another fabulous palace in Yalta. 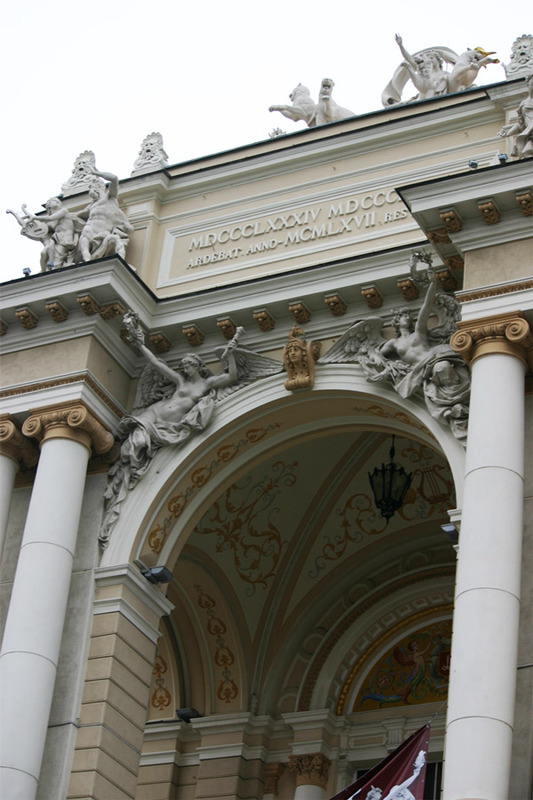 The main palace was built to be a summer retreat of the last Russian tsar, Nicholas II, and his family. The main palace has a very Italian feel to it. 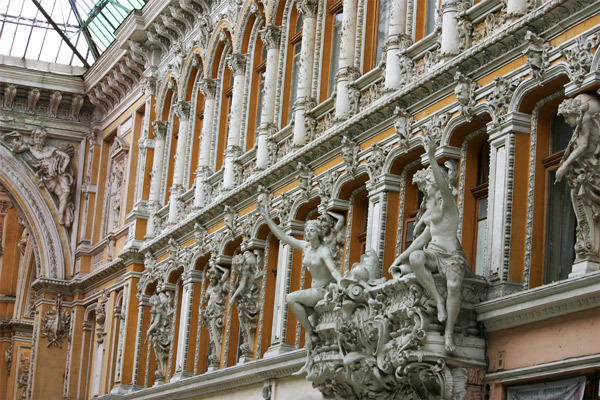 When I asked about it, I was told the tsar had it built in that style after seeing the palaces of Tuscany. 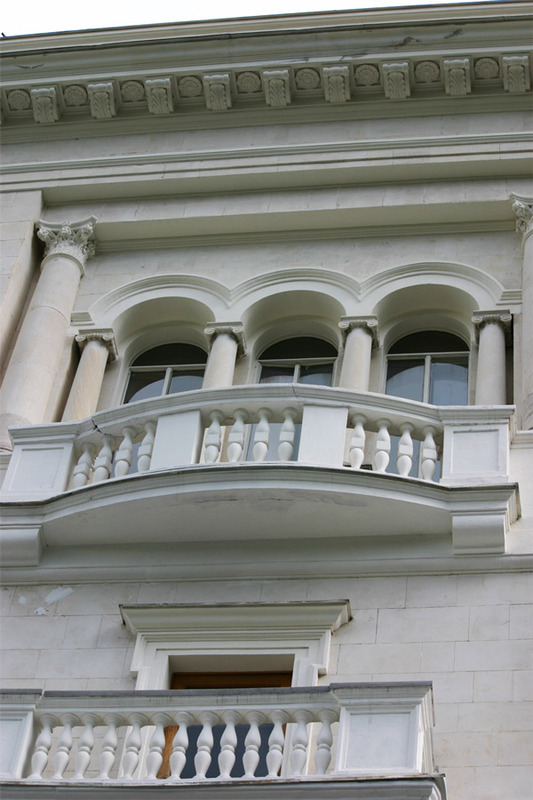 This palace also famous for housing president Franklin D. Roosevelt during the the Yalta Conference in 1945. 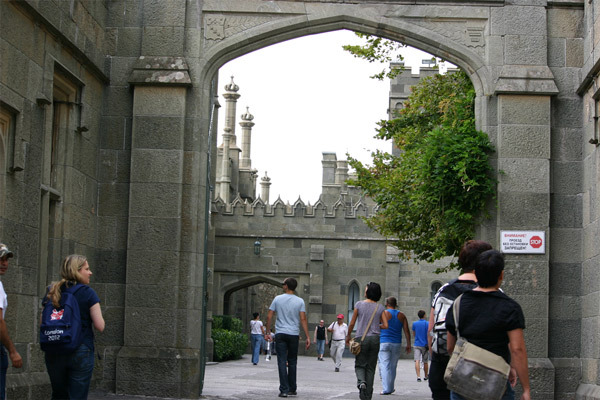 Today the palace is still a location that hosts international conferences. 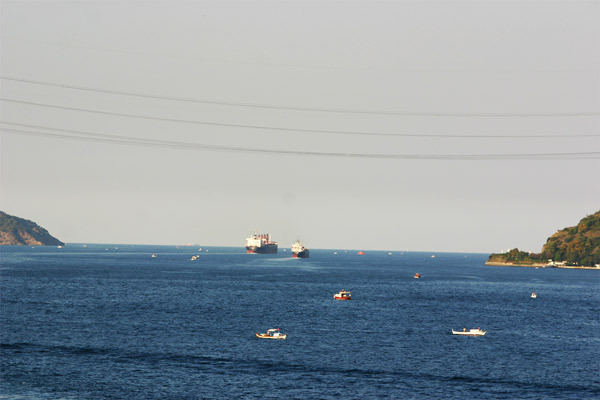 The Turkish straits are one of the the world’s most important as it connects the Mediterranean and Black seas. 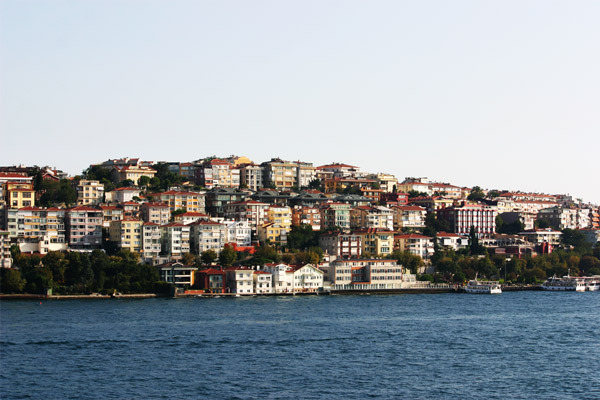 From atop deck 5, I was treated to a majestic view as we traveled through the Turkish straits. It is a view that seemingly everyone wants, as I was looking out at Turkey and all the houses were facing me in the straits. This experience was wonderful with the perfectly blue color water, dolphins swimming nearby, the many palaces along the water and homes stacked up high on the hills. 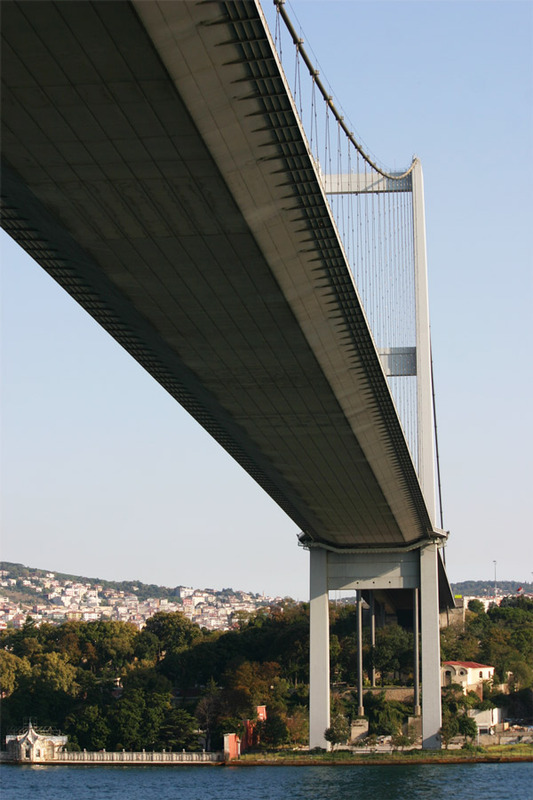 And the most impressive might be the Bosphorus Bridges which literally connect Europe and Asia. The straits have always been important from a trade and defense perspective. Understandably those that have controlled the area have done what they can to maintain that control. 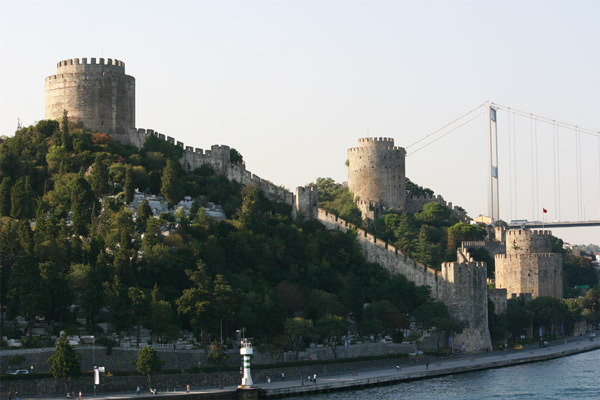 The Rumelian Castle in Istanbul was built to control who can pass through the strait. 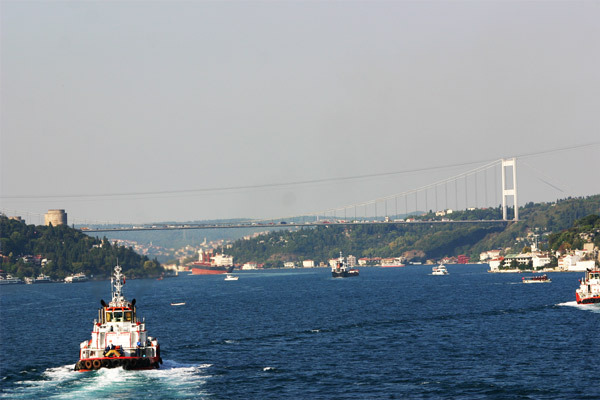 Two bridges, called the Bosporus Bridge and the Fatih Sultan Mehmet Bridge, connect Europe to Asia. Until these were completed in 1974 and 1988, respectively, the only way to cross the strait was by ferry. Numerous ferries still zigzag across the straits at all hours of the day. Along the shore of the strait are countless palaces, many hundreds of years old. The style reminds me of the Venetian palaces in how these amazing structures stand so close to the waters edge. A little Turkish friend greeted us as we pass approached the Black Sea. 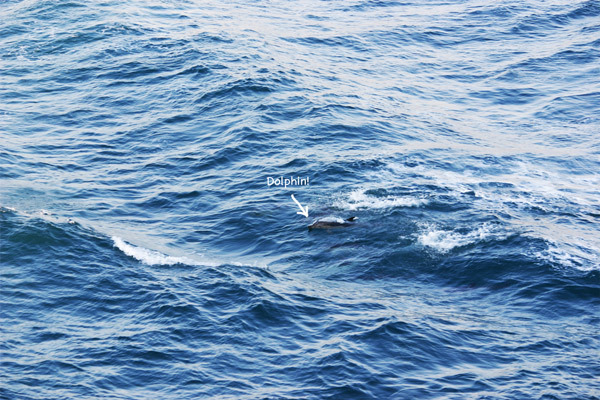 In the last image you can see the entrance to Black Sea! ¡Bon dia! 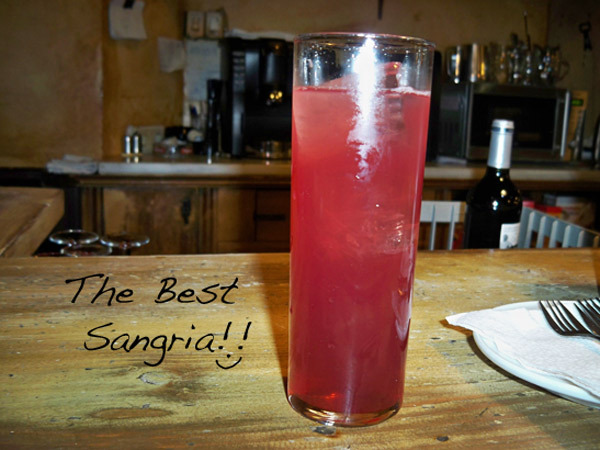 from Palma de Majorca in España where it is not just Spanish that is spoken, it is Catalan. 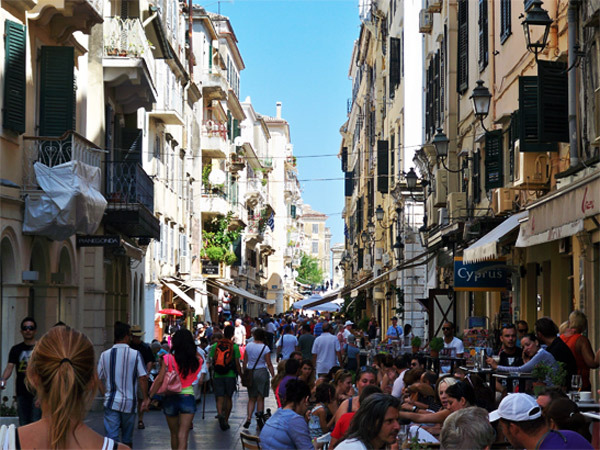 Palma, is the largest city and the major port on the island of Majorca (Mallorca). 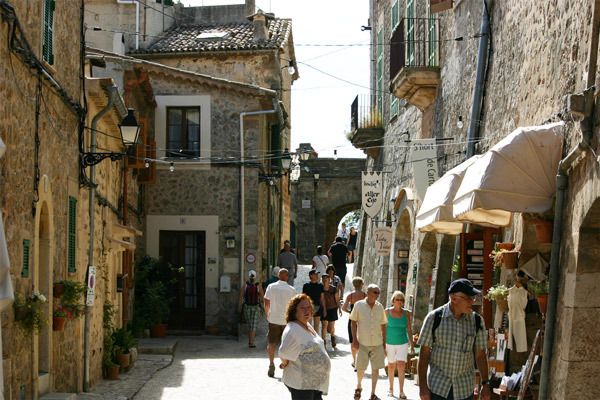 The island is the largest of the the Balearic Islands which lie off the east coast of Spain. This island is amazing, and not just because of it remarkable beaches. 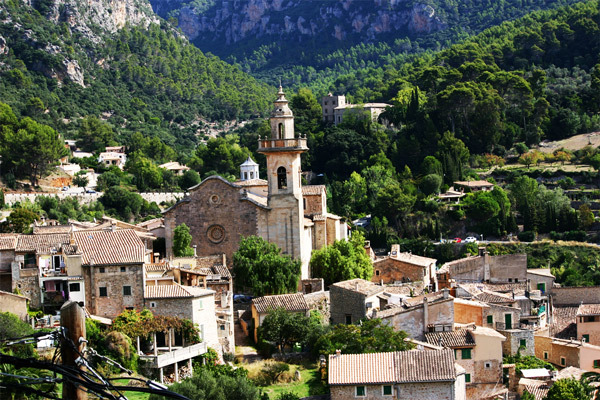 Leaving the capital city of Palma behind, I ventured north to the town Valldemossa. 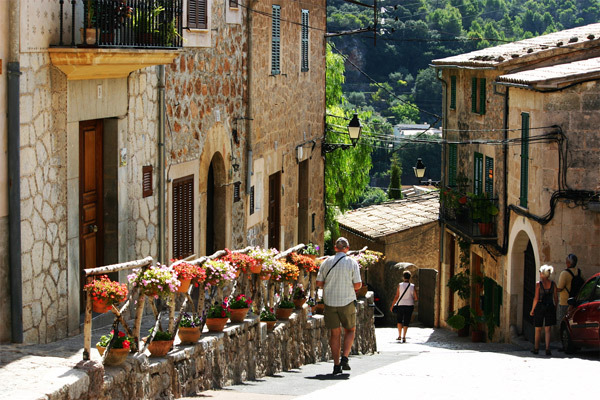 Valldemossa, which was described to me as a the most picturesque town on the island, truly is an amazing village in an awesome setting. 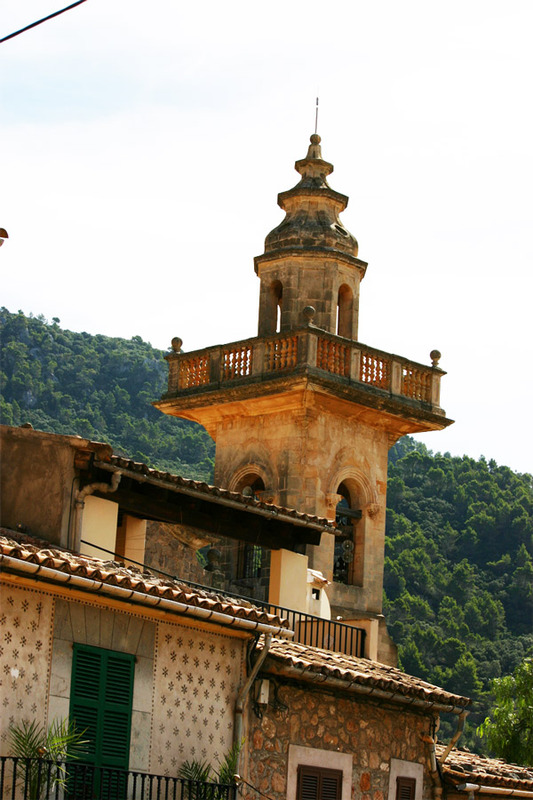 The beautiful, honey-colored church of Sant Bartemeu peaks over the other buildings of this charmful village. 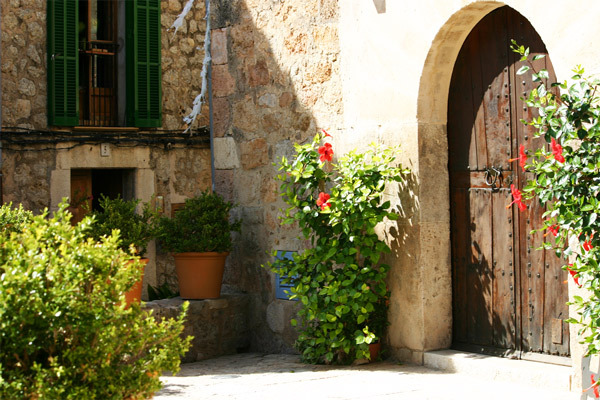 As I was strolling along the cobblestones streets in the villages of Mallorca I was stunned by how the locals use small things to beautify their front doors and how it creates warm and welcoming atmosphere. 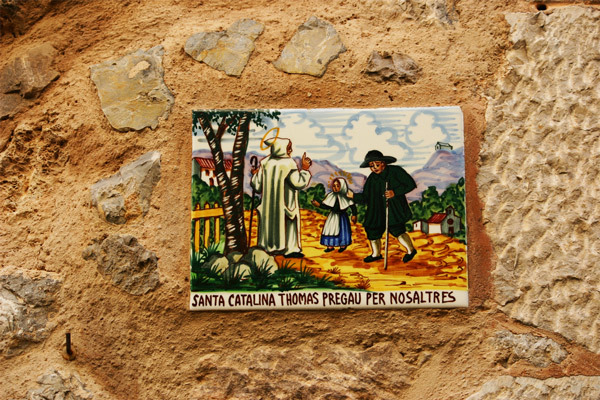 One such detail was this amazing art on this little piece of tile they affixed near their front door. This shows you how much pride they have in there home and how they want everyone to enjoy both inside and outside their home. 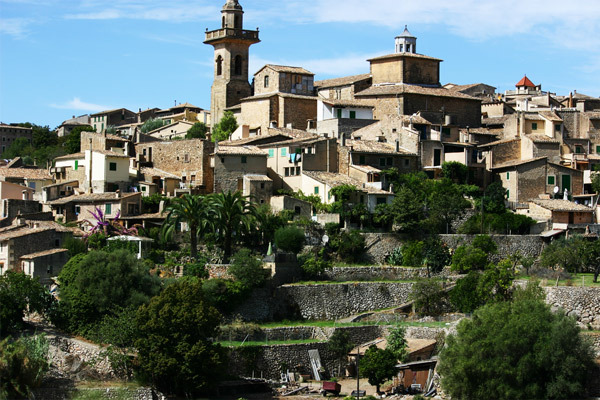 This village is very clean and the locals are very welcoming to the tourist. But be warned, bring comfortable shoes because the town resides on some steep hills. 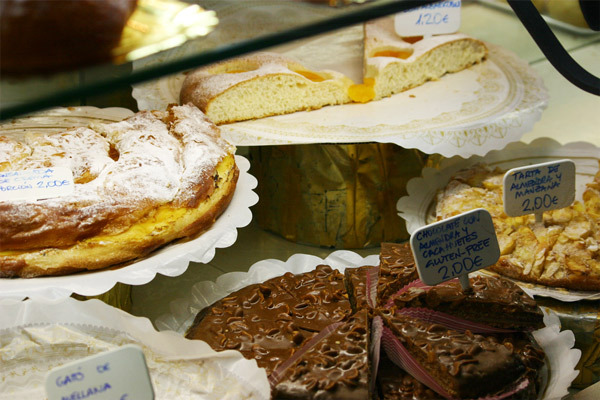 Mallorca has some amazing shops, fabulous restaurants, quaint cafes, and extraordinary pastry shops. 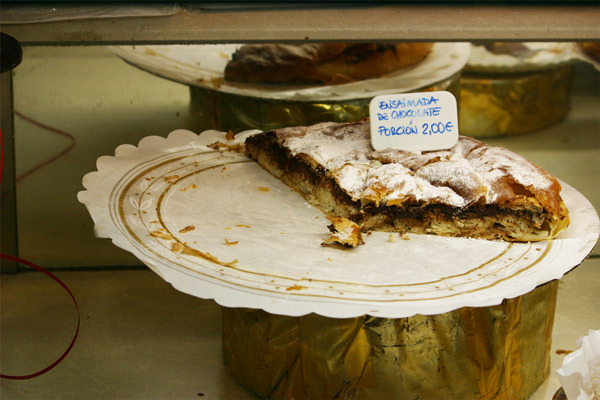 The island is especially well known for its spiral pastries called Ensaïmada. While doing some window shopping, I stopped to be able to enjoy some Ensaïmada de Chocolate (soft flaky pastry filled with Nutella). Yummmm! ¡Hola! Yes I am back in Spain, this time in the southern port city of Cádiz. 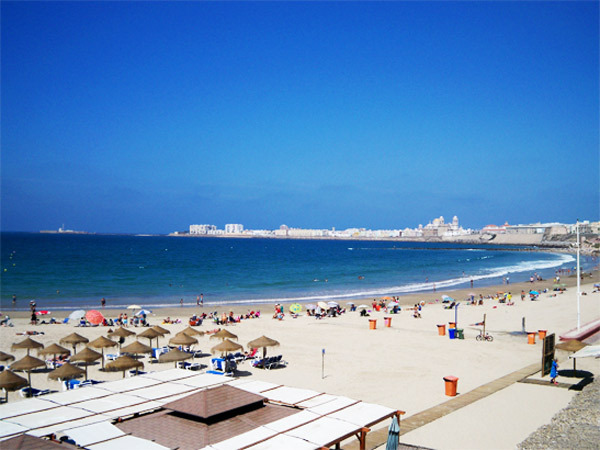 Over 3,000 years ago people came to where Cádiz now sits because of its strategic location on a peninsula at the mouth of a protected bay. 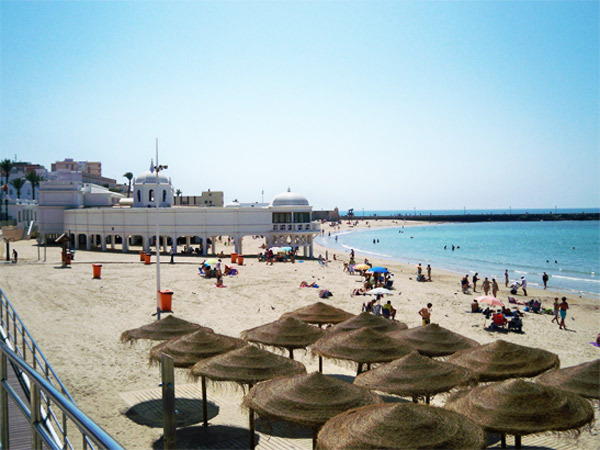 Today people come to Cádiz because of its sunny beaches and warm weather. My report: the skies are perfectly blue and I did not see a cloud the entire time I was there! 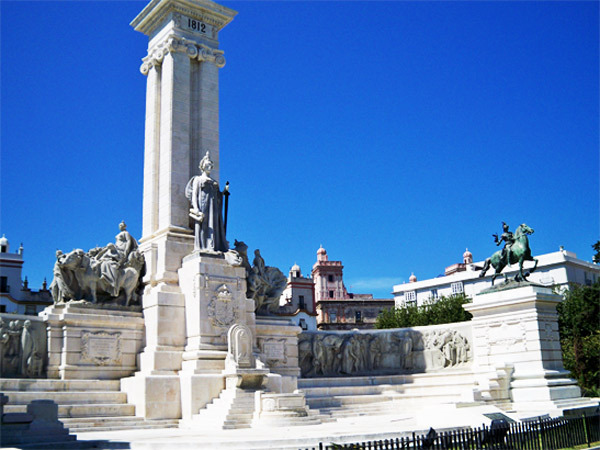 In a city as old and important as Cádiz there are bound to be many monuments celebrating the people of the city. One such monument is below, it is the monument to the 1812 Spanish Constitution which sits in a large plaza near the port. The Spanish take such pride in their city by keeping the streets decorated with beautiful flowers and by caring for many old large trees said to be brought from America by Christopher Columbus himself. 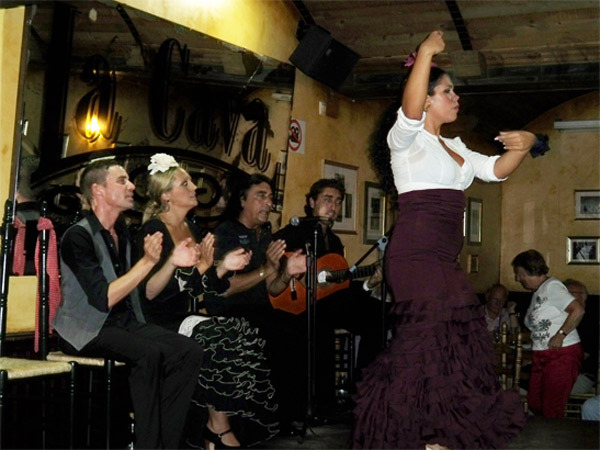 As this was my second time in Andalucia I thought it was time to try some tapas and see some flamenco. 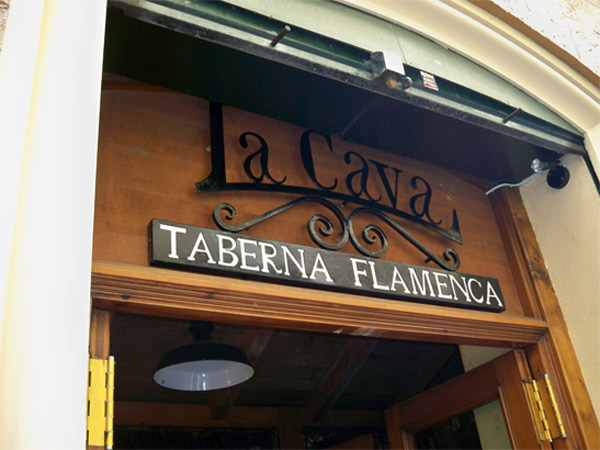 At the La Cava Taberna Flamenca I found the perfect place to experience both. Here the hospitality and the tapas were both outstanding. 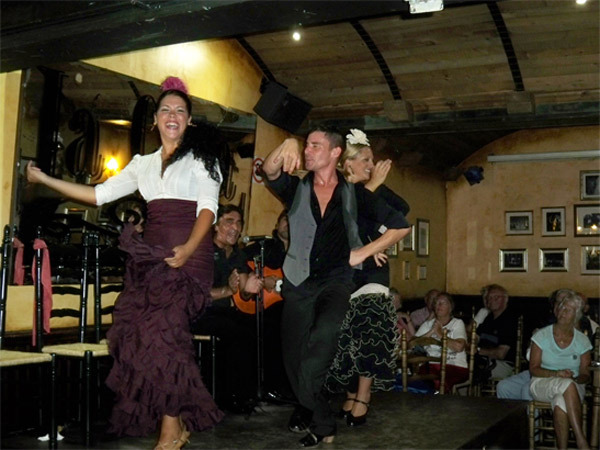 The flamenco performance was very entertaining as I enjoyed my tapas and sipped the best sangria I have ever had! The Greek island of Κέρκυρα, or Corfu, is the second largest Ionian island after Cephalonia and is a tourist destination for people of all ages. 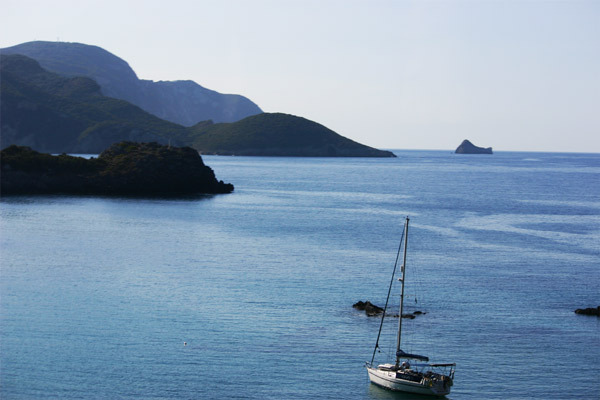 The island has crystal clear waters, quiet and sandy beaches, hidden coves, mountains and an active nightlife. 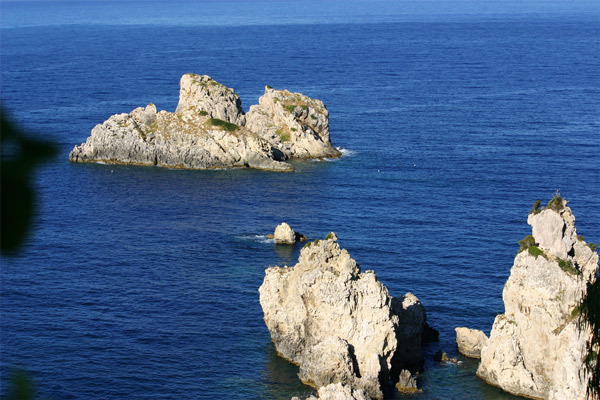 So the small island of Corfu has something for everyone. In the mountains in the northwest of Corfu is the Monastery Paleokastritsa dedicated to the Virgin Mary. The white washed buildings, the beautiful gardens, and the beautiful sea views make this an excellent location for the monks to reflect. There has been a monastery here since 1228. A visit to Theotoky Estate shows the local countryside. 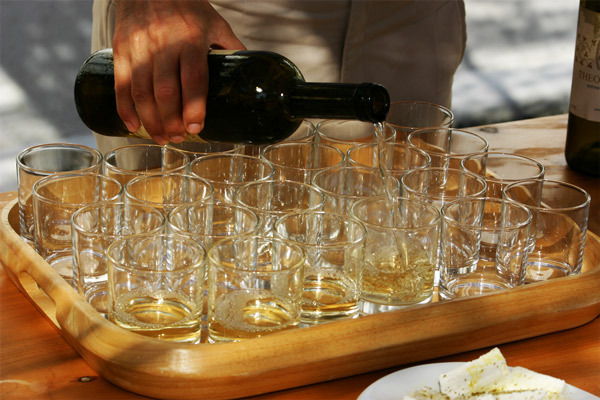 Here a Greek family has been growing grapes and olives to produce wine and olive oil. 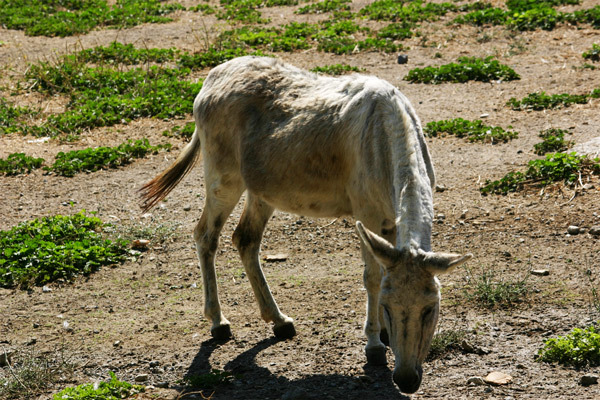 The trip to the estate takes you through the Greek countryside where you can find many goats, chickens, and horses. 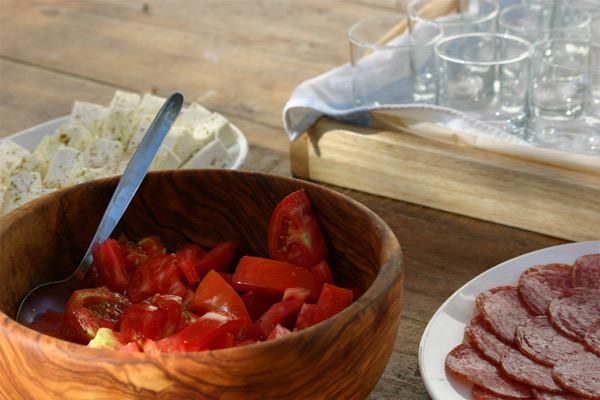 At Theotoky Estate a nice spread was prepared with Greek tomato salad, cheese, fresh salami, and of course fabulous wine from the estate. The white wine is so good it is even preferred by James Bond in the movie “For Your Eyes Only” (although I prefer the red). 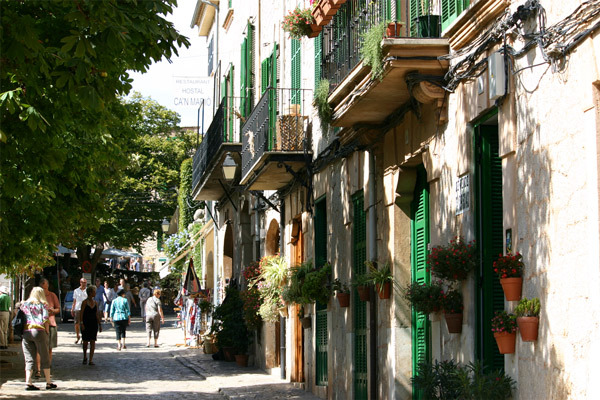 The largest and busiest town on the island is Corfu town also known as Old Town. This is where many people begin and end exploring the island. 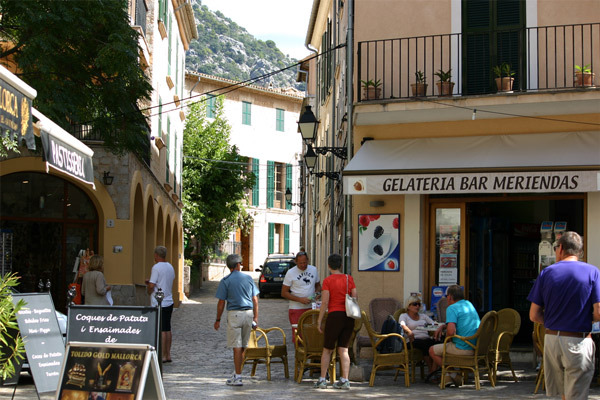 With many local cafés and shops there is plenty for the tourist to do in this town. 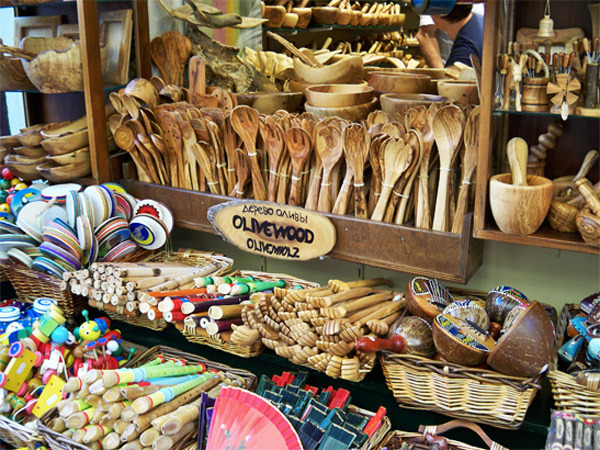 Here you can find your favorite knickknack made out of olive wood. 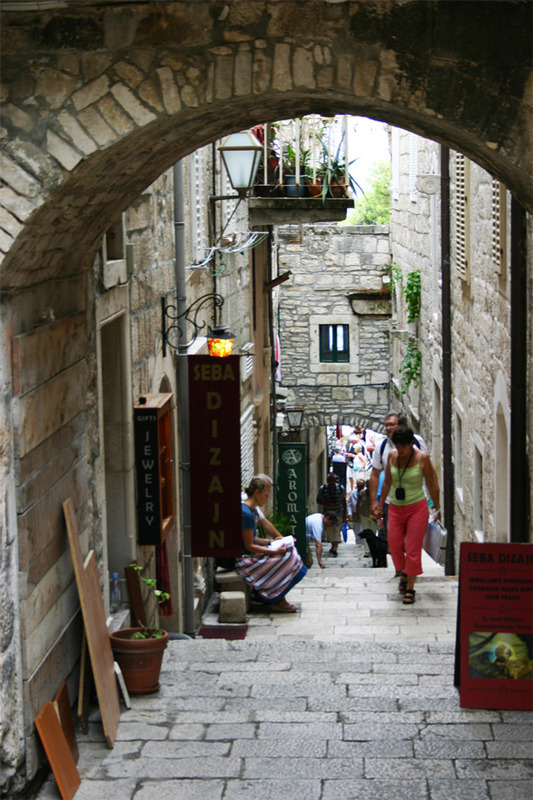 Korcula is one of the many islands that make up the Dalmatian archipelago in the Adriatic Sea off the west coast of southern Croatia. It is one of the larger islands and is 29 miles long and nearly 5 miles wide. Much of the island is covered in dense pine forests. 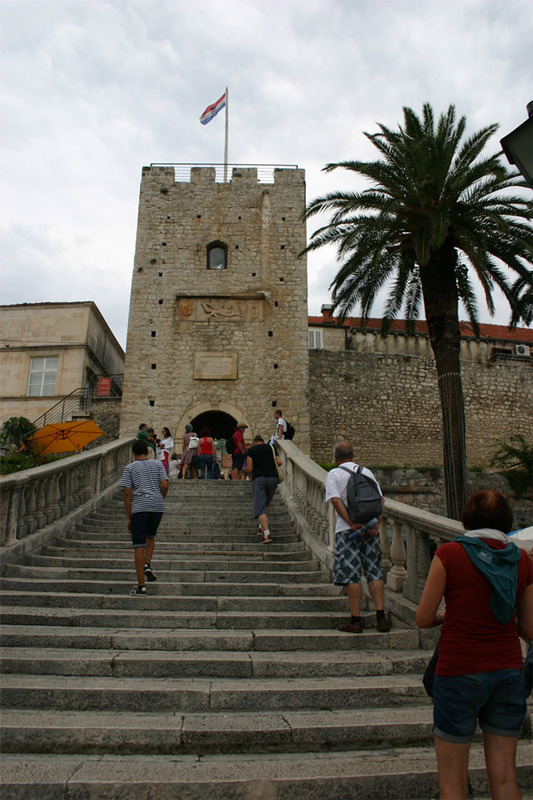 The major city on the island is also called Korcula which is in a prime position to militarily control the important shipping lanes. 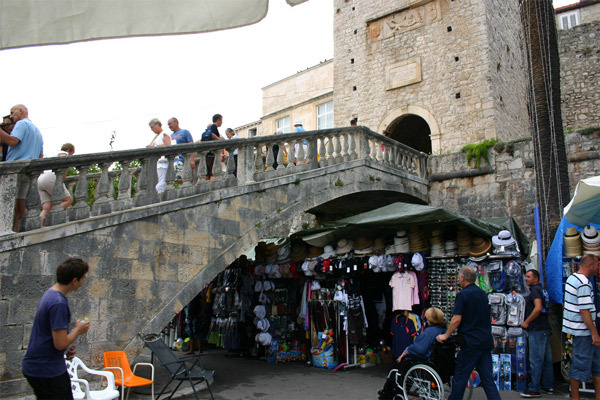 Until the 18th century the entire city was built inside the sturdy city walls. I was excited to explore another region of Croatia! 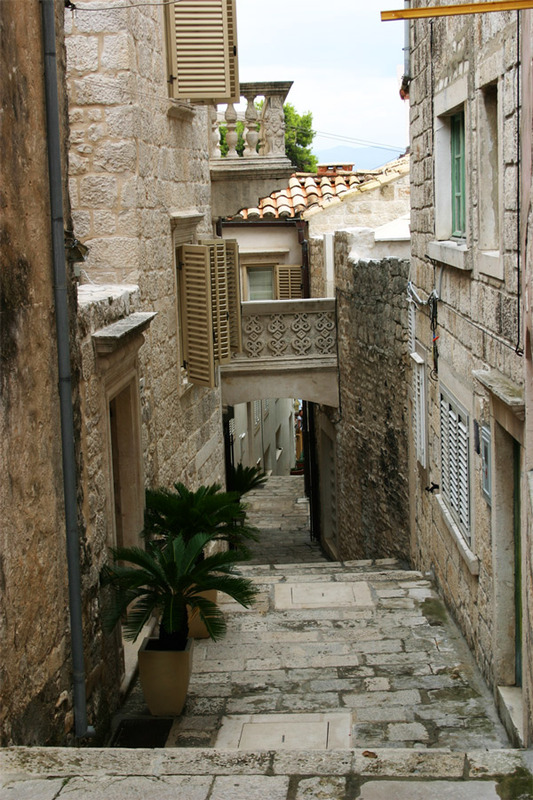 The atmosphere in Korcula is different than Dubrovnik in that it is less big city and much less tourist dominated. It seems like more of the people actually live here and that gives it a more Croatian feel. 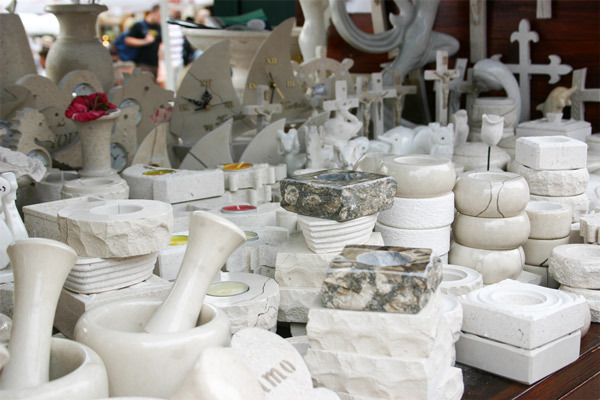 Upon entering the main shopping area you can see many of of the artists and craftsmen from Korcula and neighboring islands trying to sell their handmade products. I was amazed by the details and the effort that they put into creating their wares. 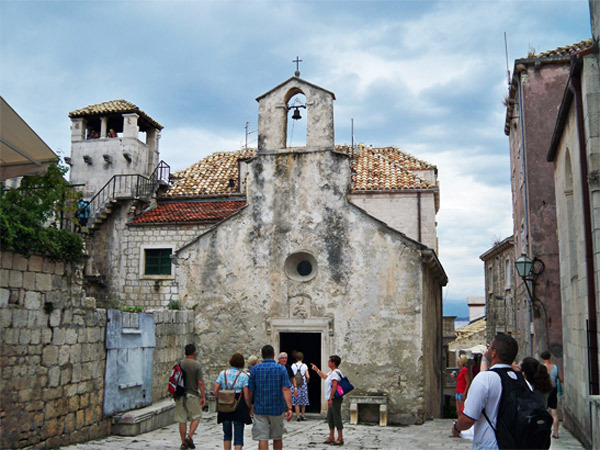 The city of Korcula is well known for it stonemasonry, a tradition which reached its peak when the Venetian Republic ruled the city (1420-1797). 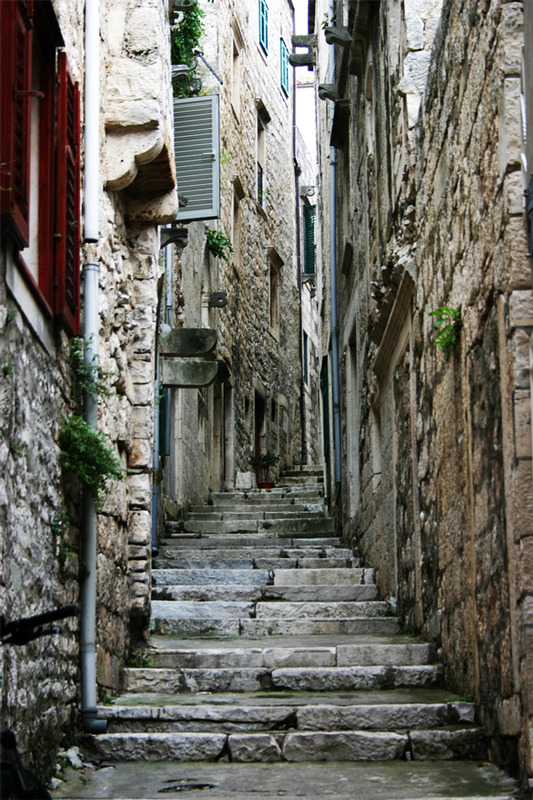 As you continue to walk in the city of Korcula feel a gentle sea breeze as you walk through the narrow city streets. 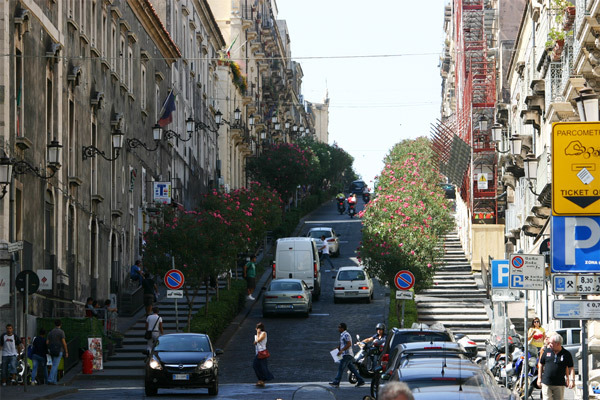 The streets were arranged to maximize the airflow off the Adriatic Sea. 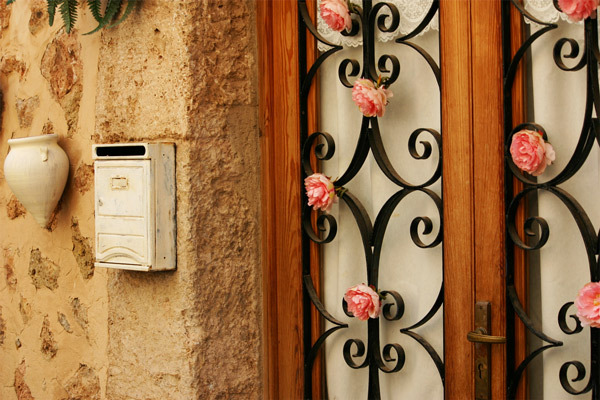 One also becomes mesmerized by the amazing details and old charm of the city. 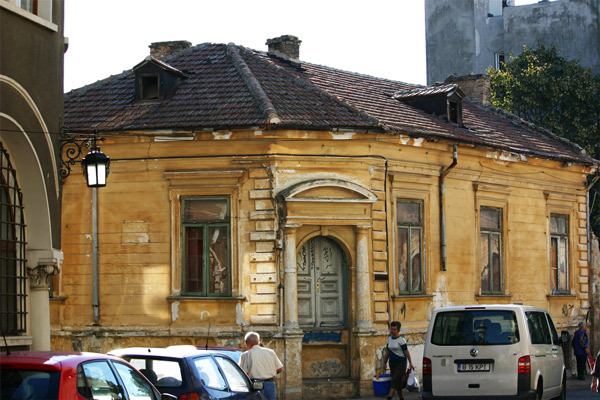 Many old buildings are still standing today despite the city being a prime military location. 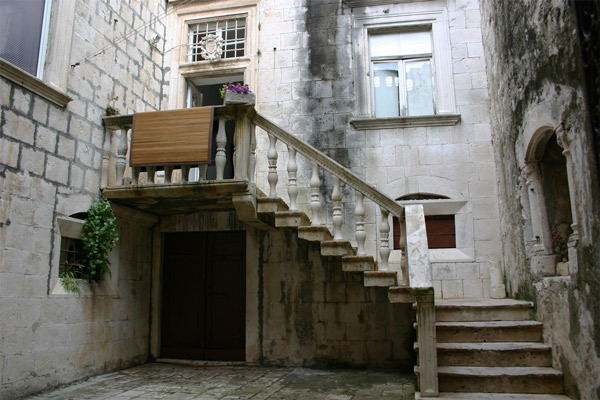 Modern Croatians definitely take pride in their history and they respect and maintain the important landmarks in their cities. 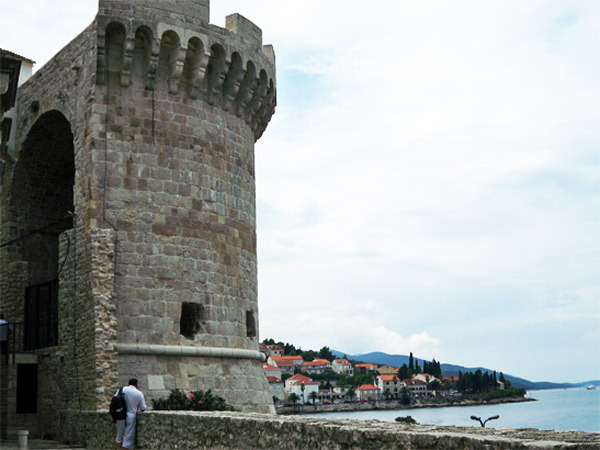 At this point I would be remissed if I did not mention that the most famous travel writer of all time, Marco Polo, is said to have been born in Korcula. Why my blog may not ever be as important as the stories Marco Polo wrote about his travels, I do hope to inspire some of you to explore this beautiful world. And just maybe it will be you who will stop by this part of paradise known as Croatia.